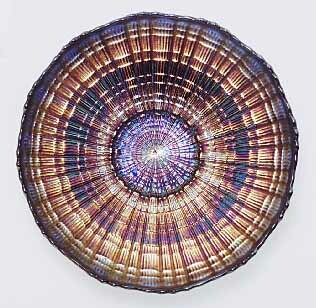 A unique pattern, unlike anything else in Carnival, with rays divided into small rectangular shapes creating a texture that reminds some people of a cross section of a log. 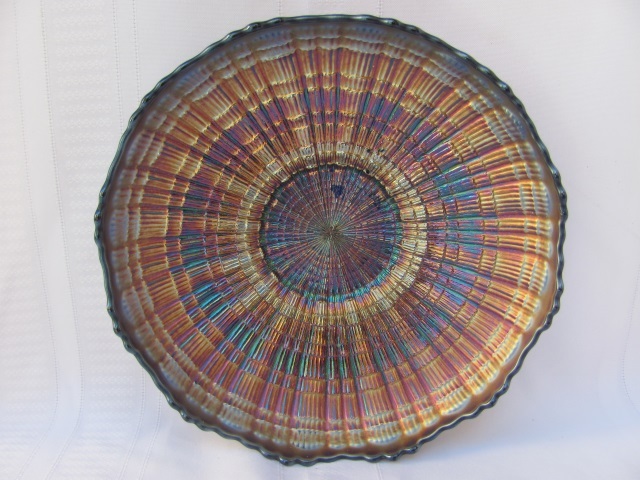 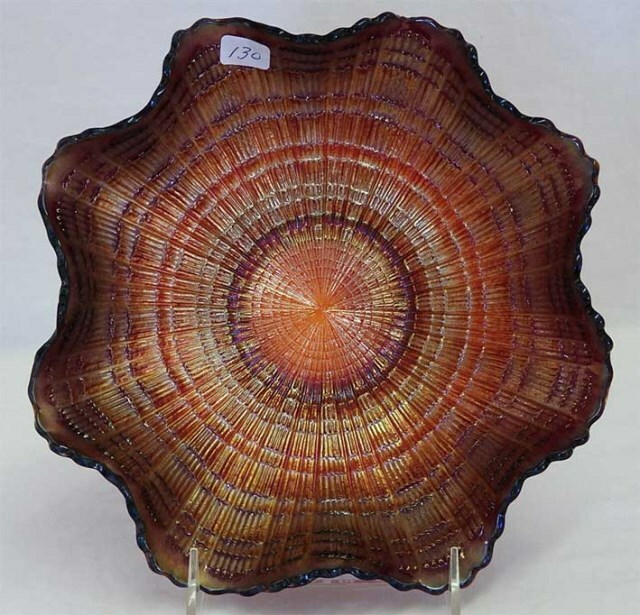 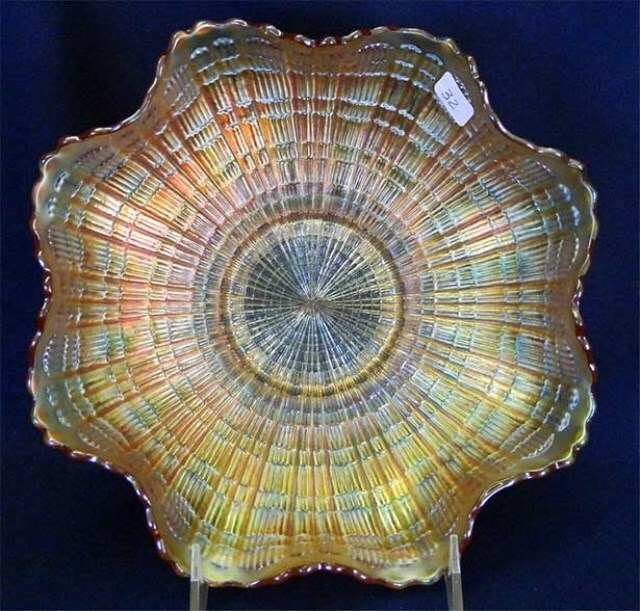 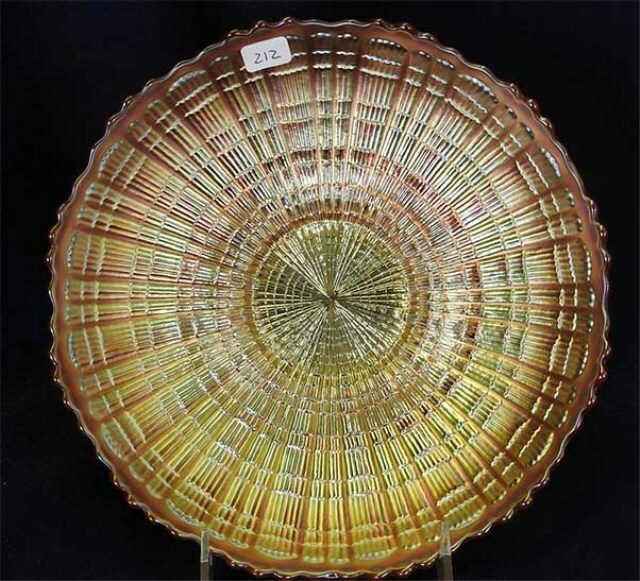 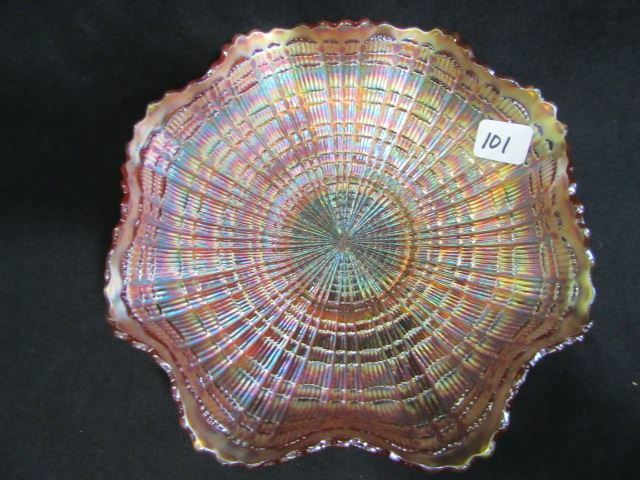 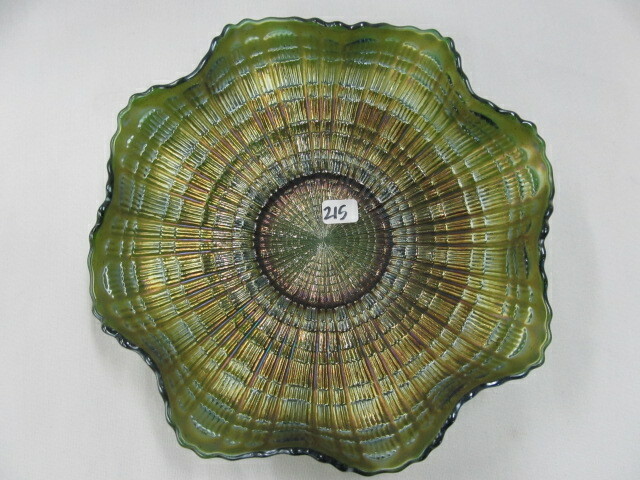 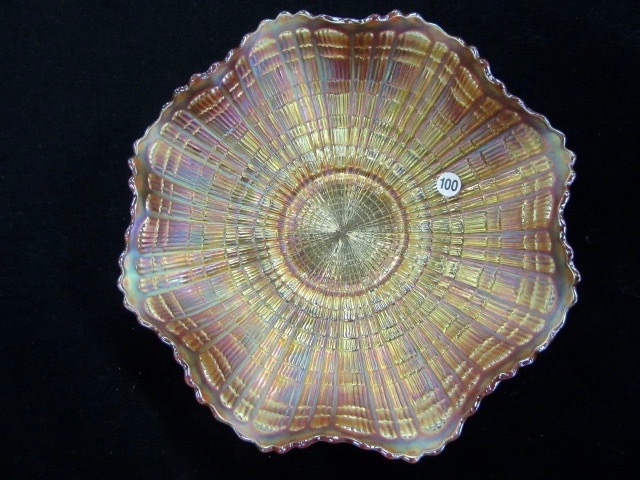 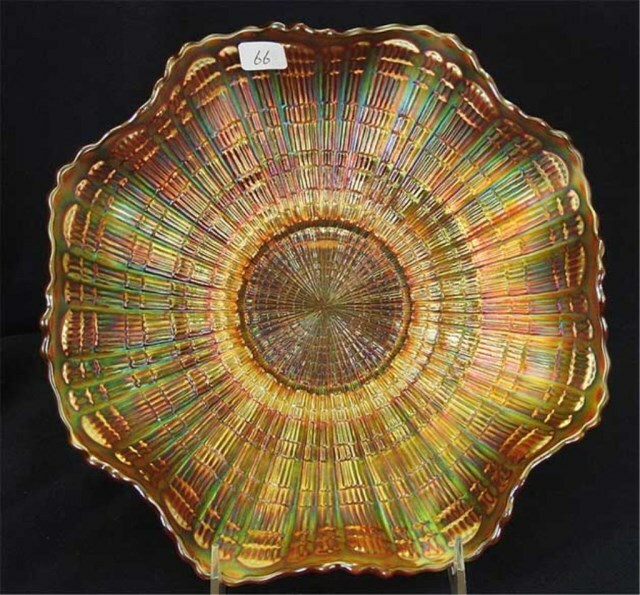 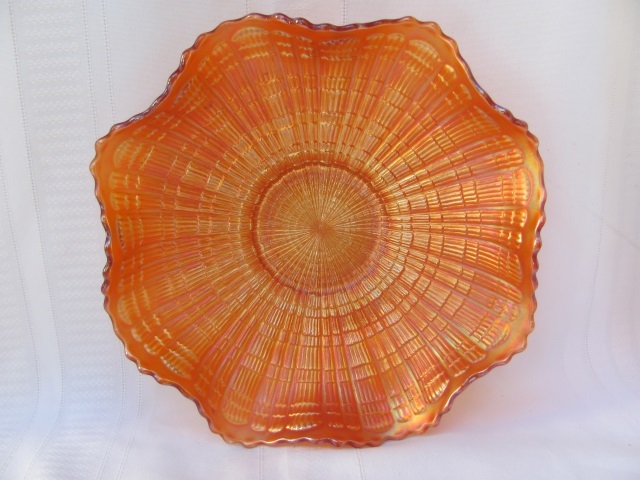 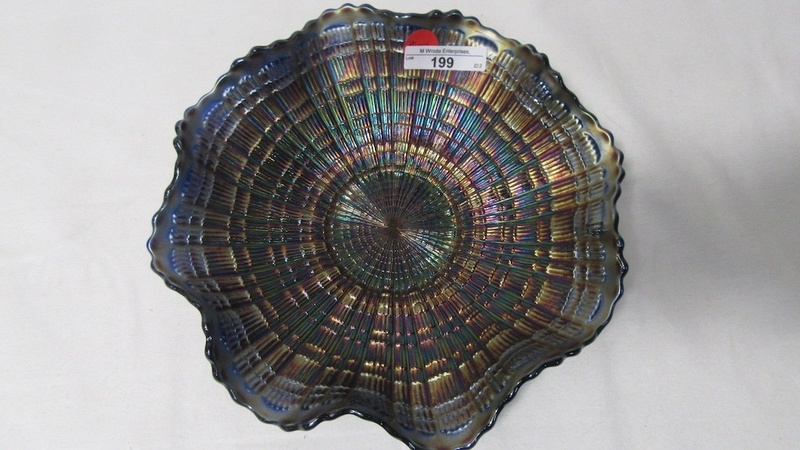 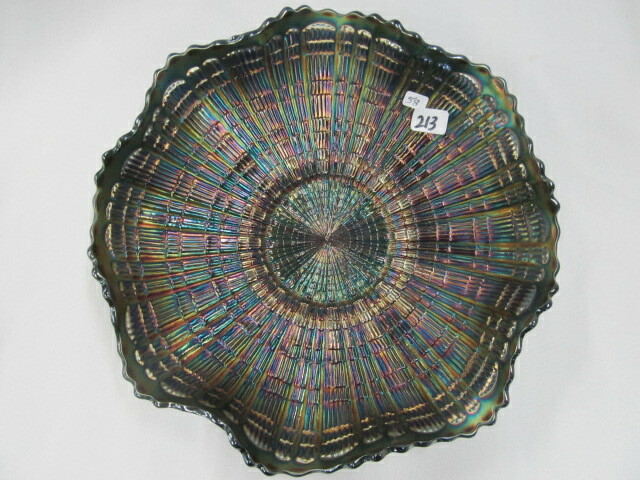 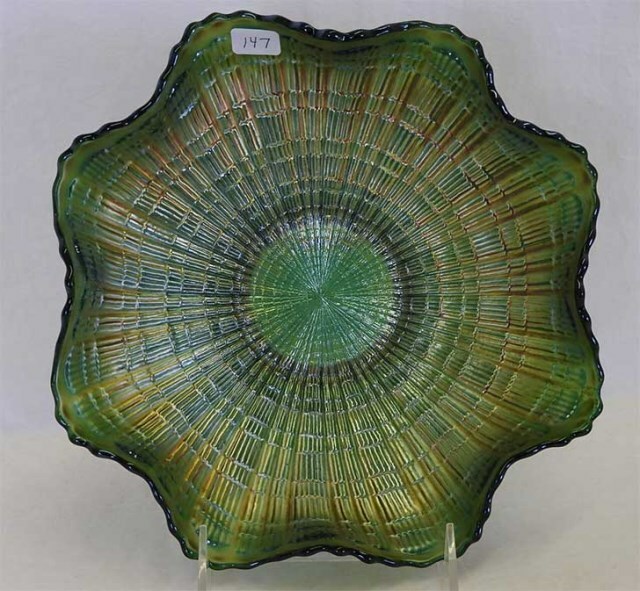 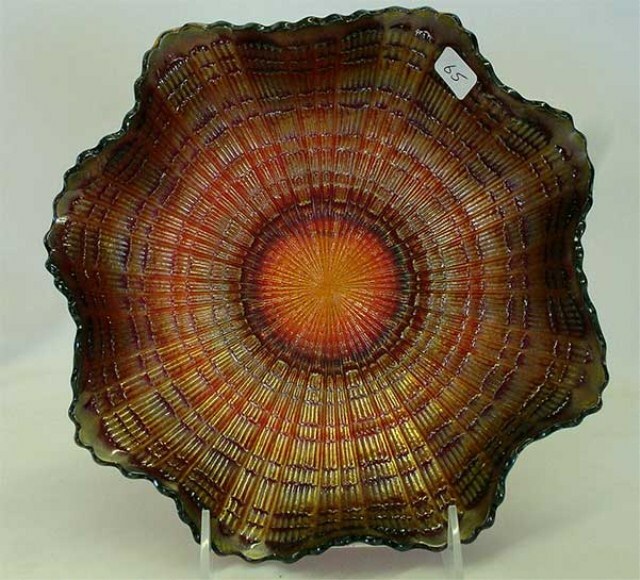 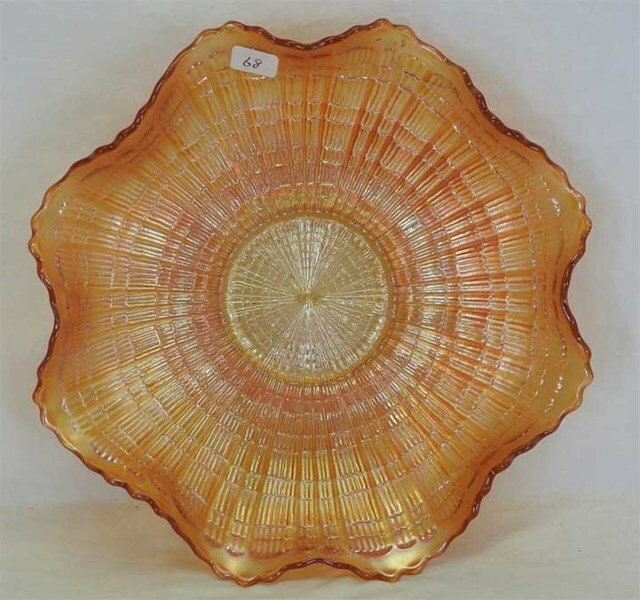 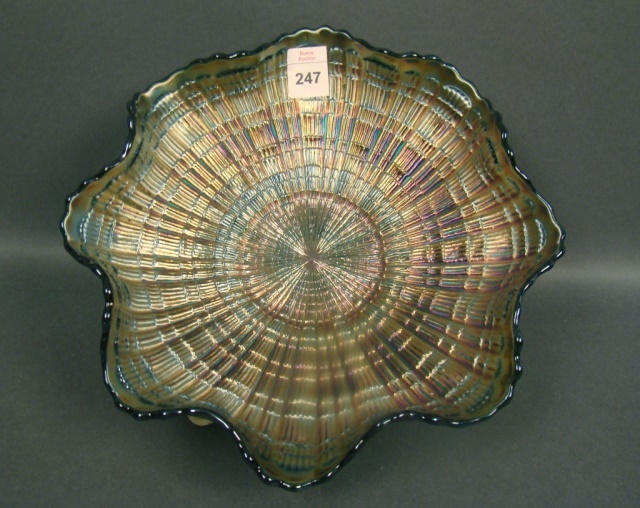 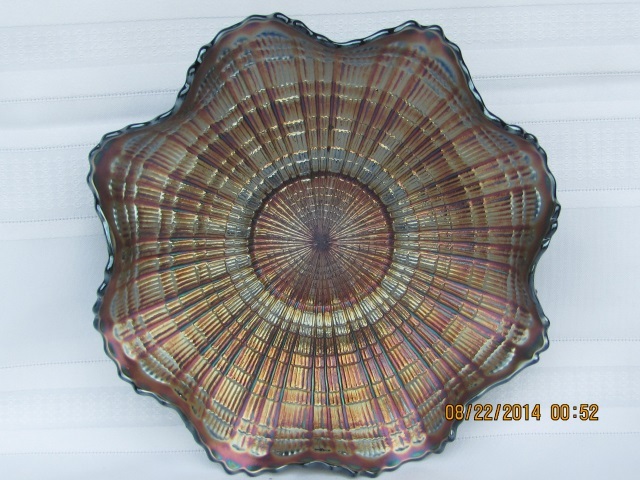 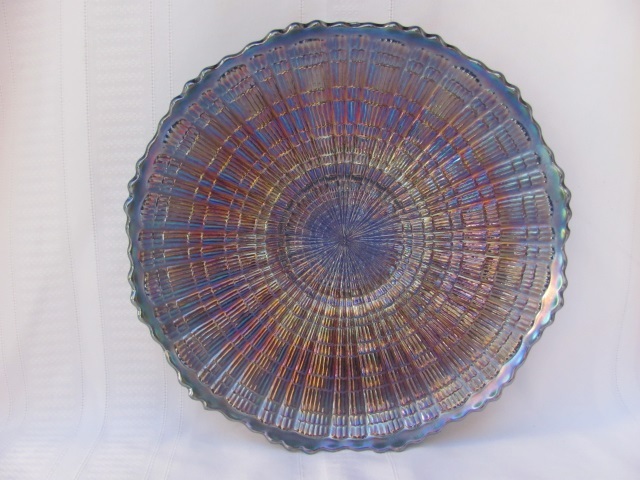 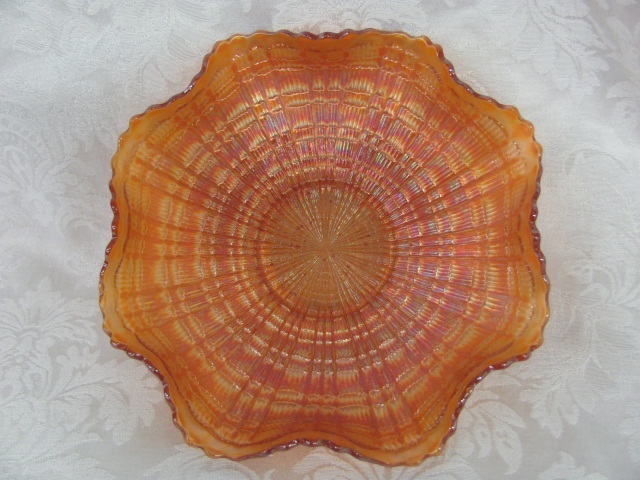 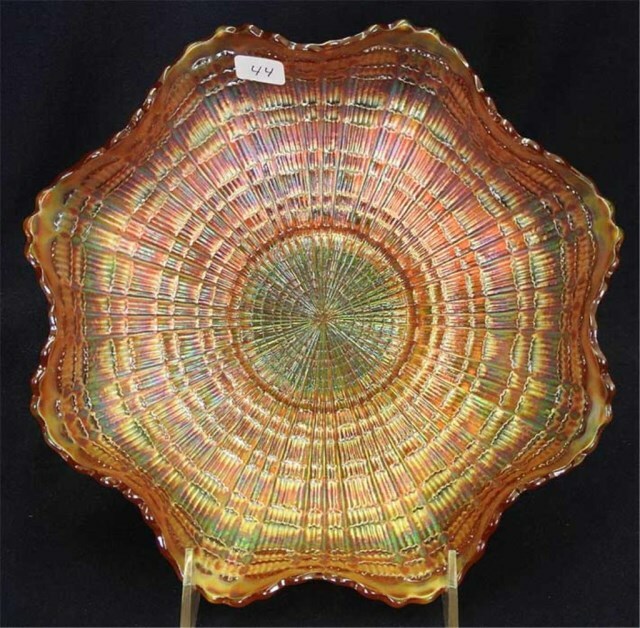 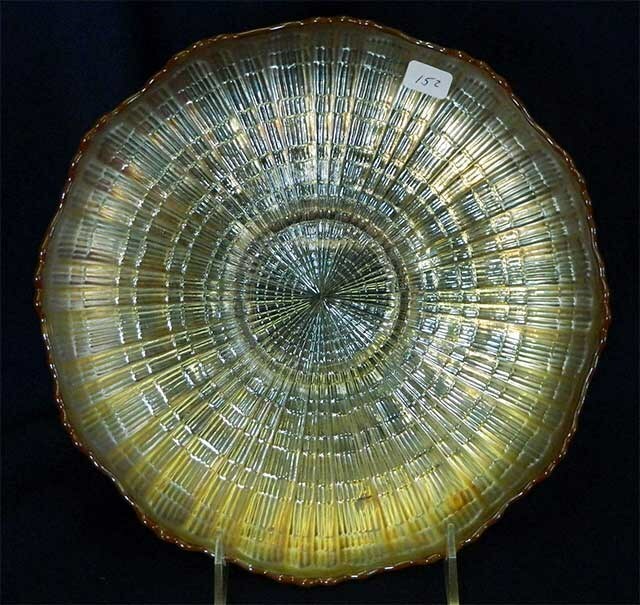 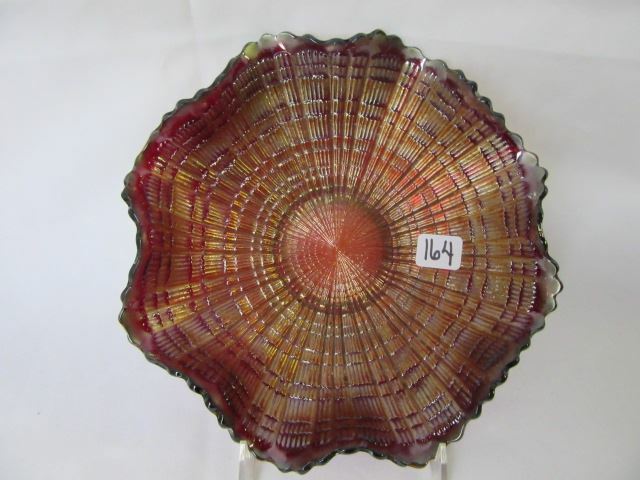 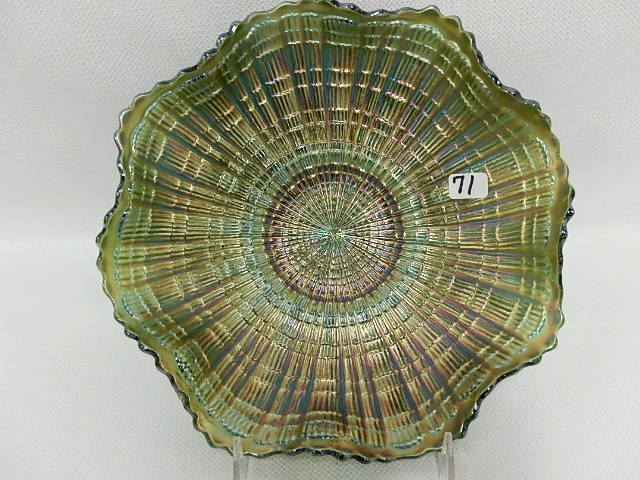 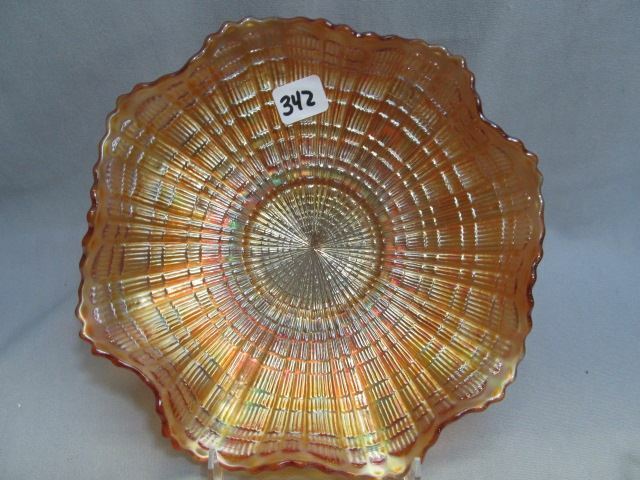 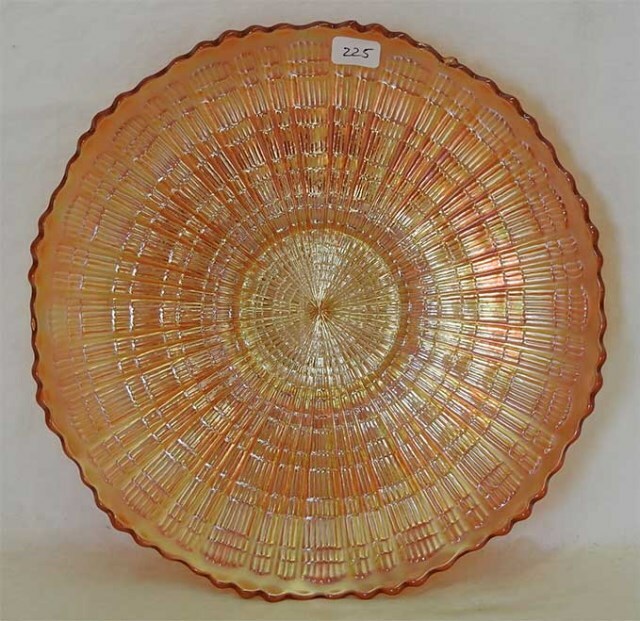 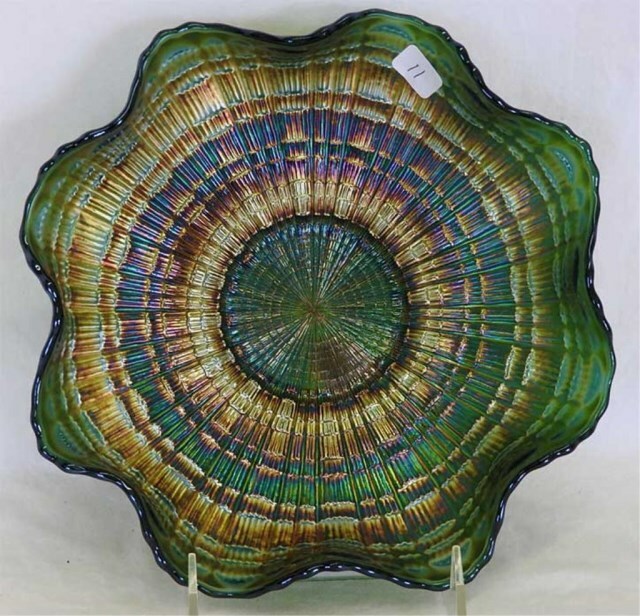 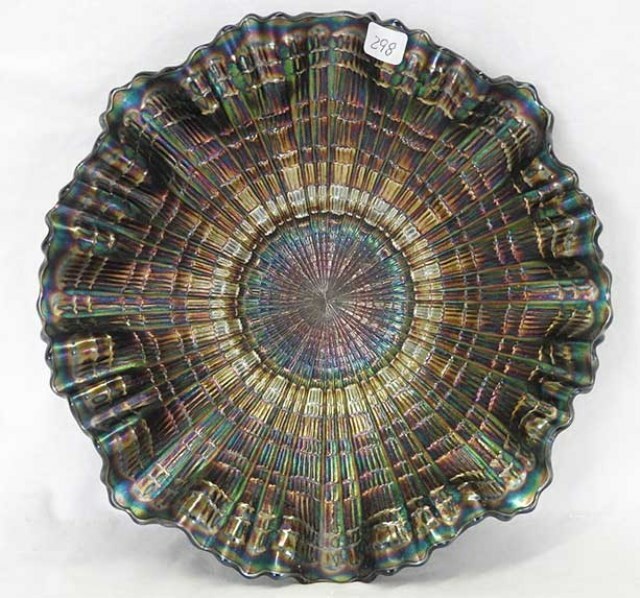 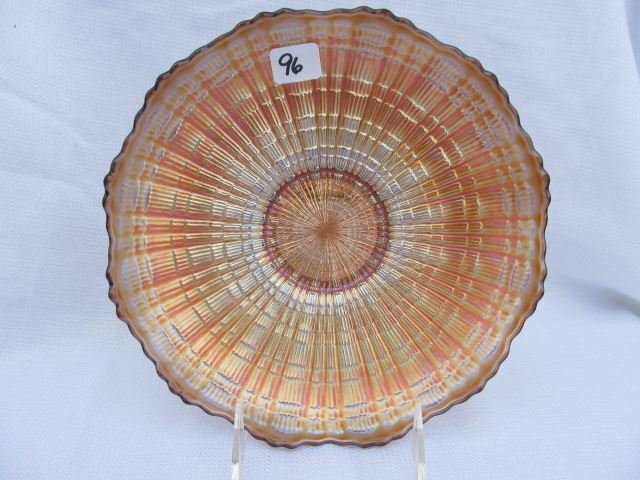 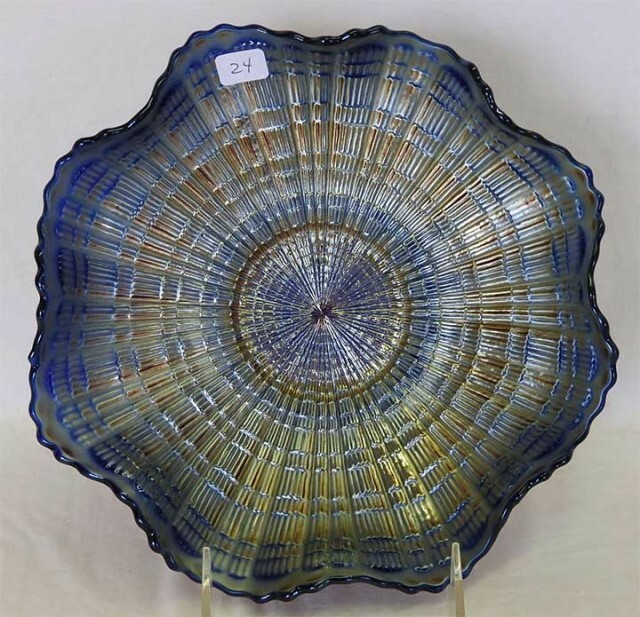 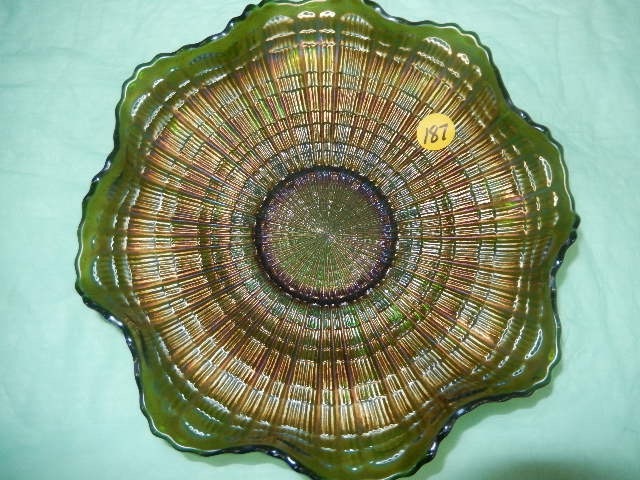 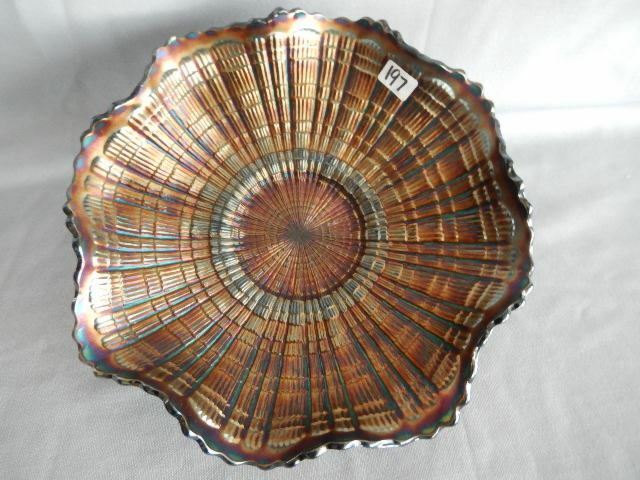 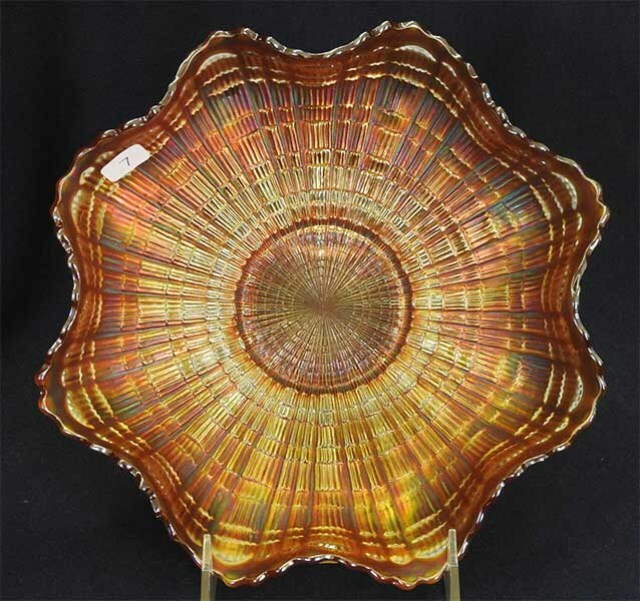 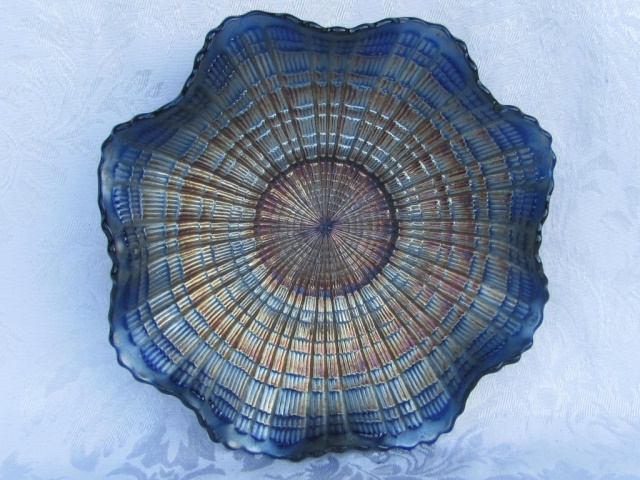 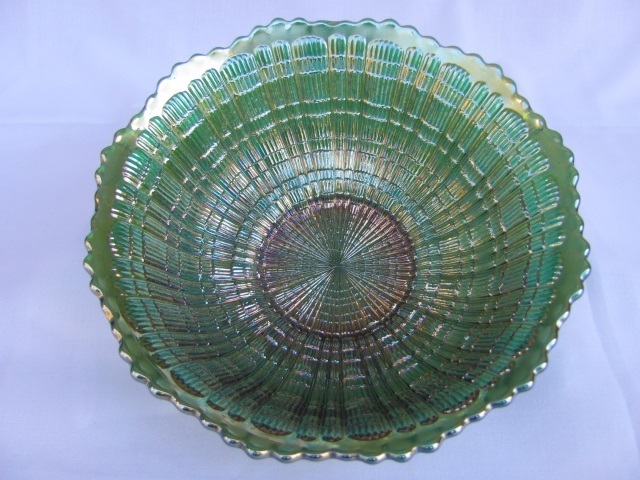 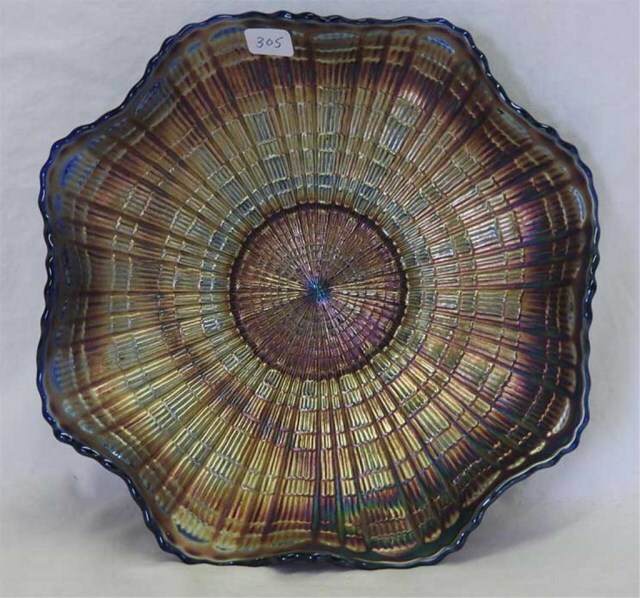 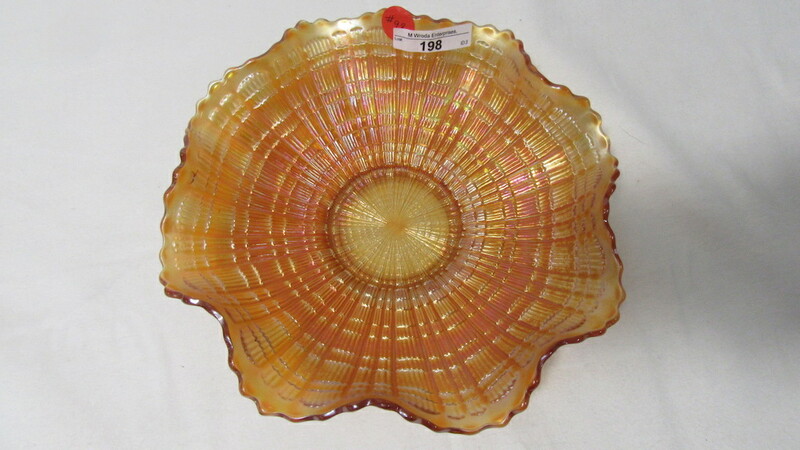 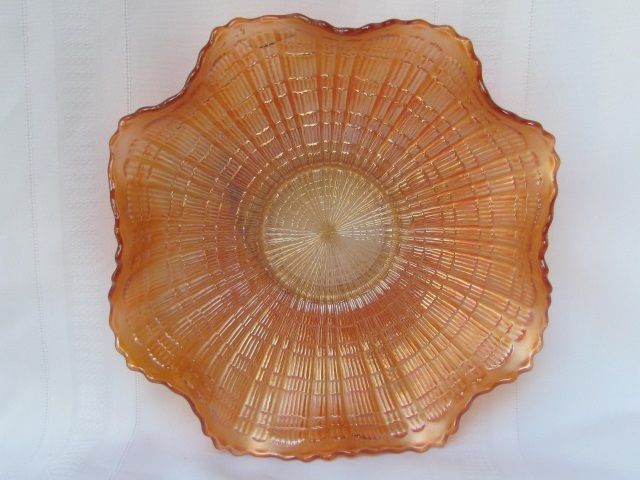 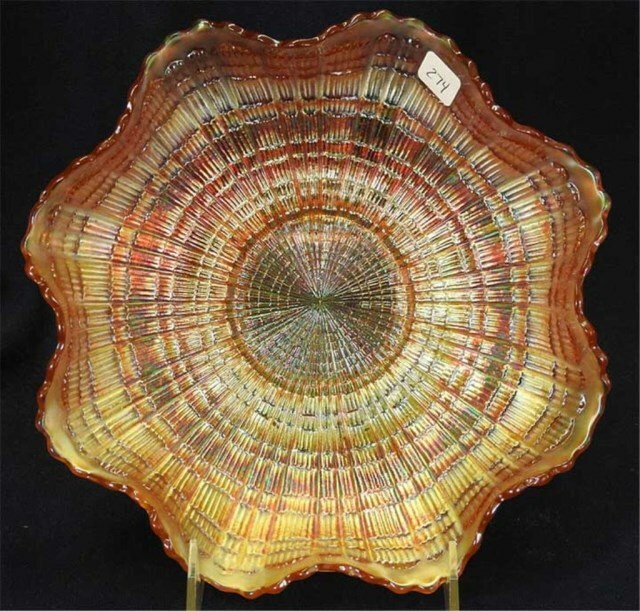 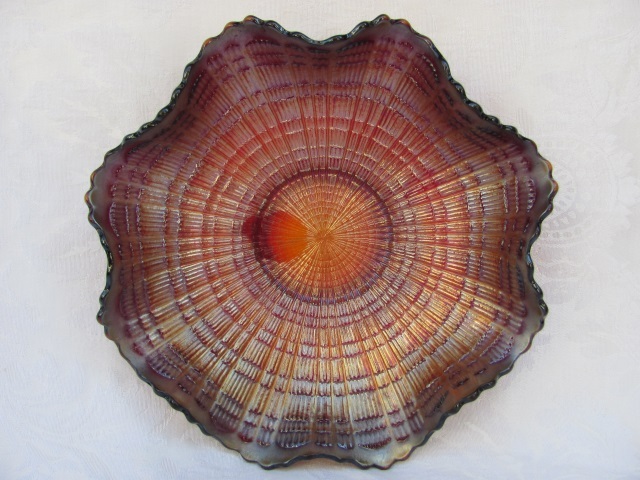 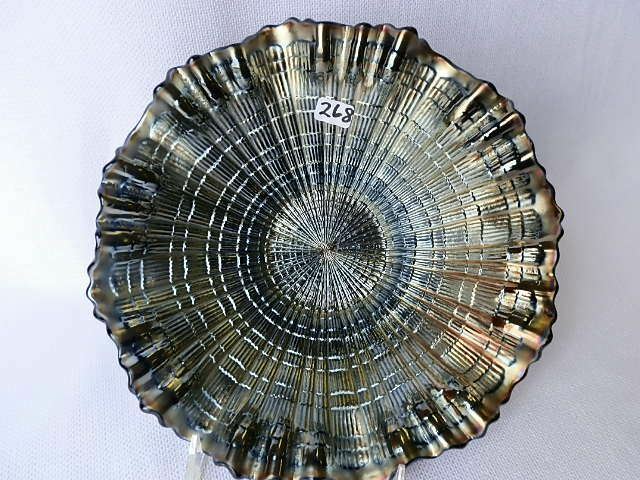 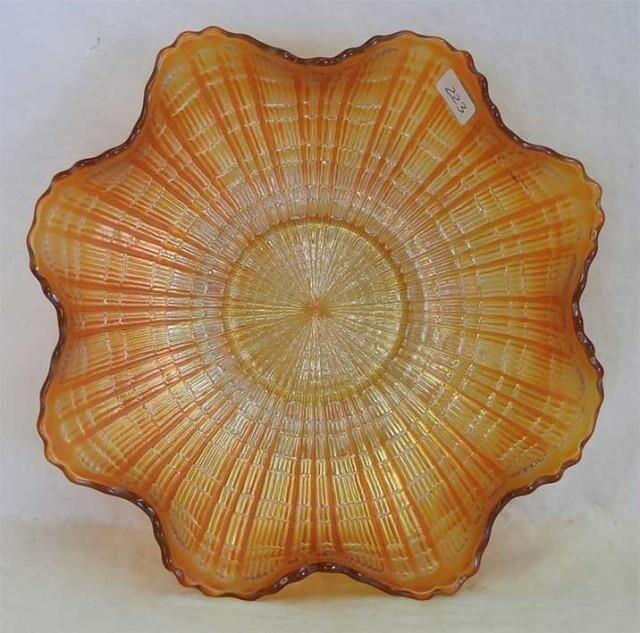 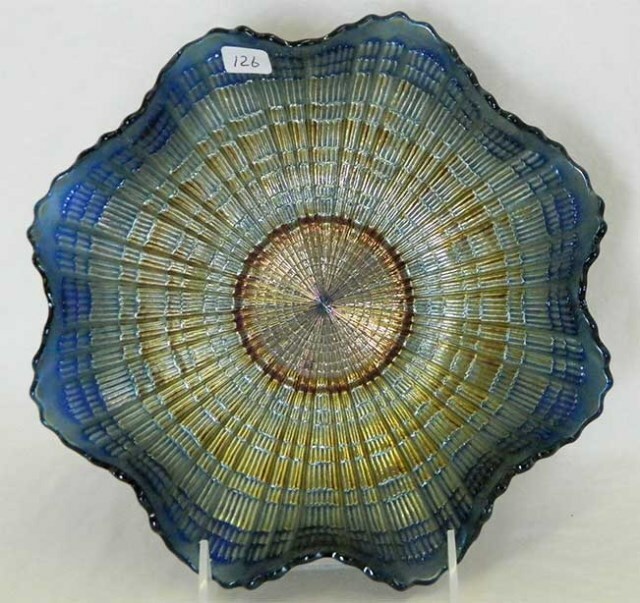 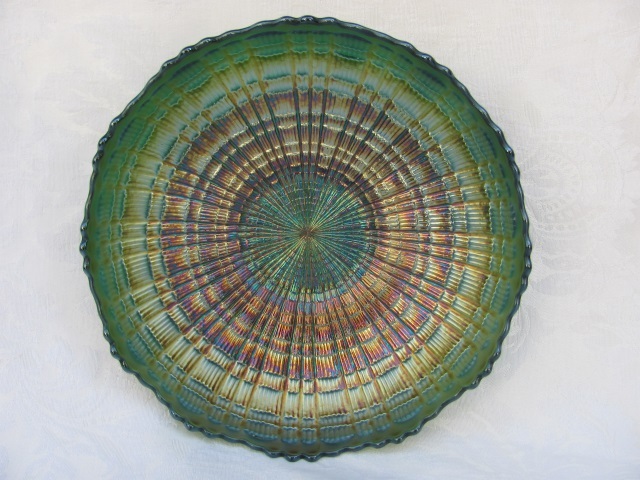 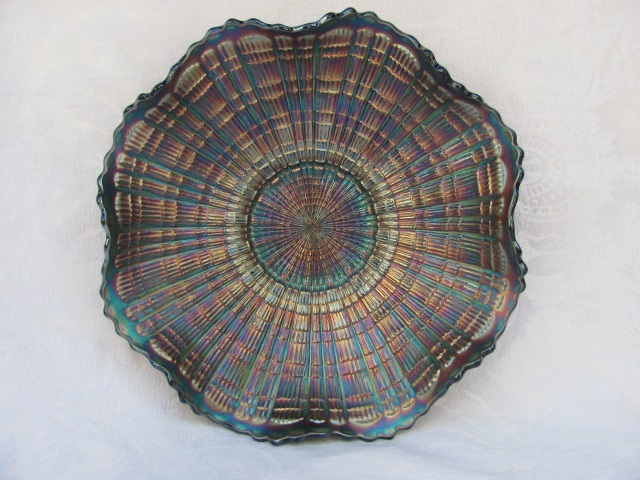 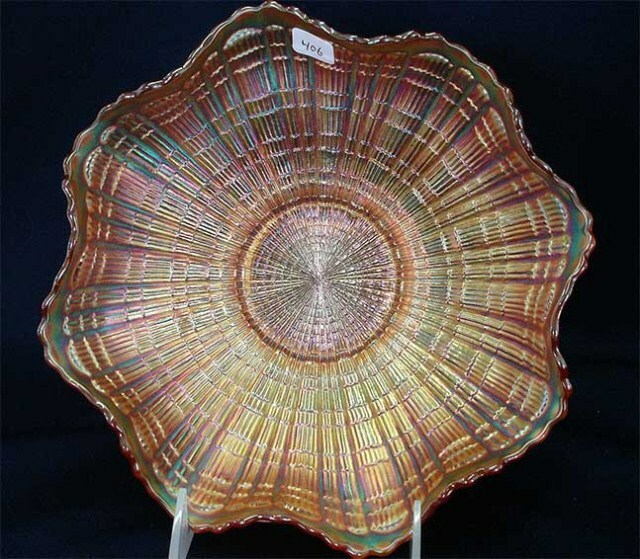 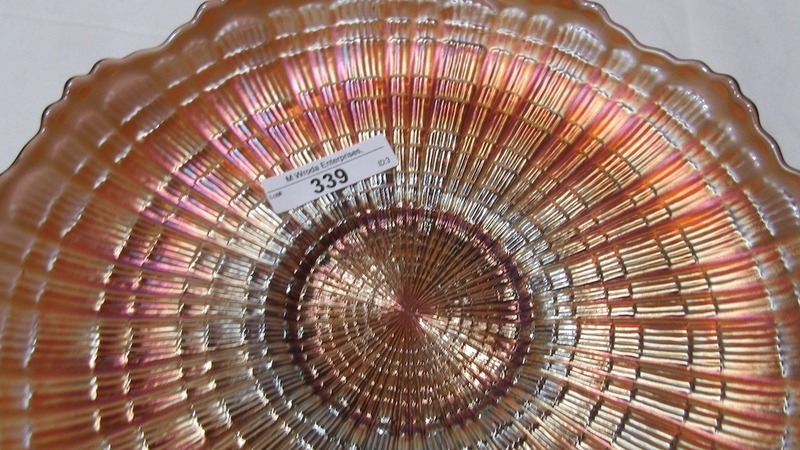 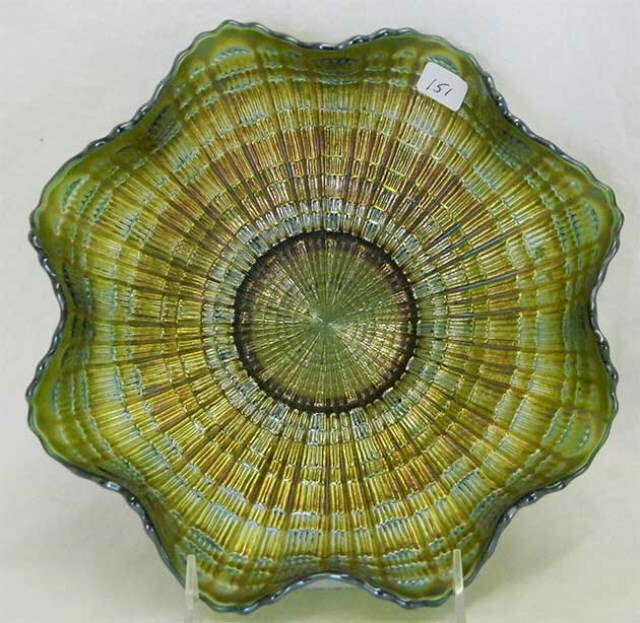 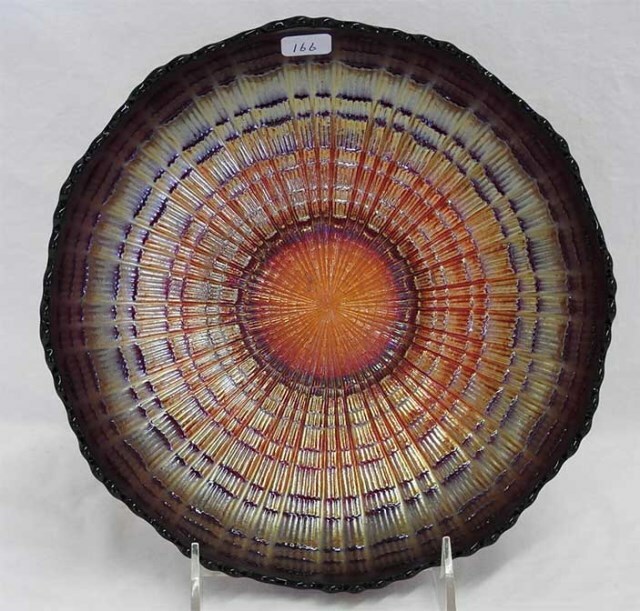 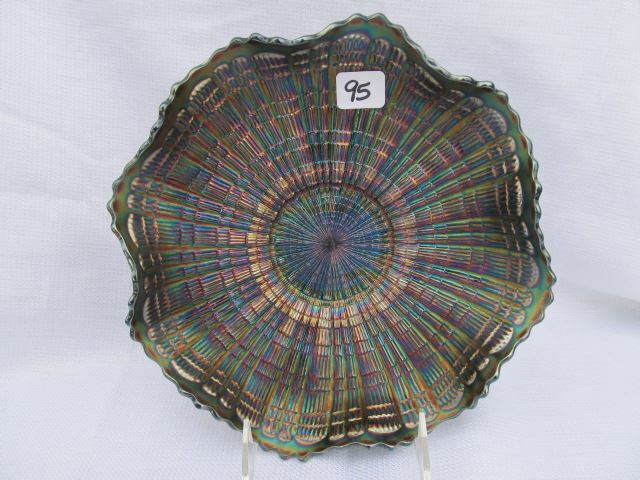 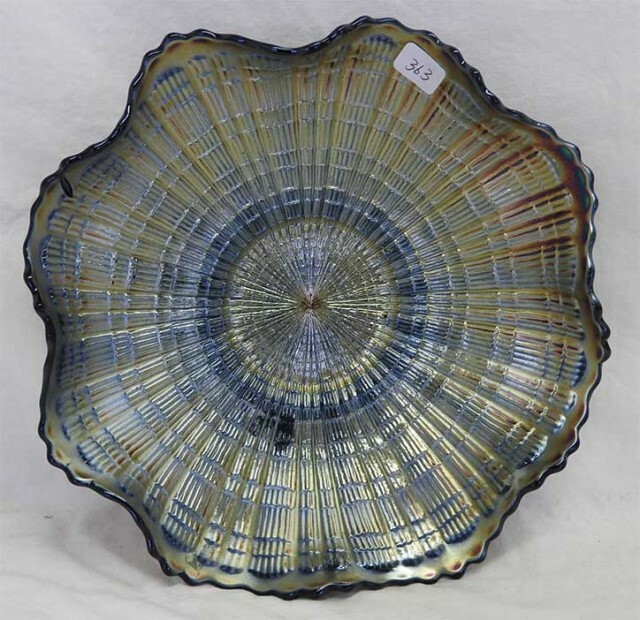 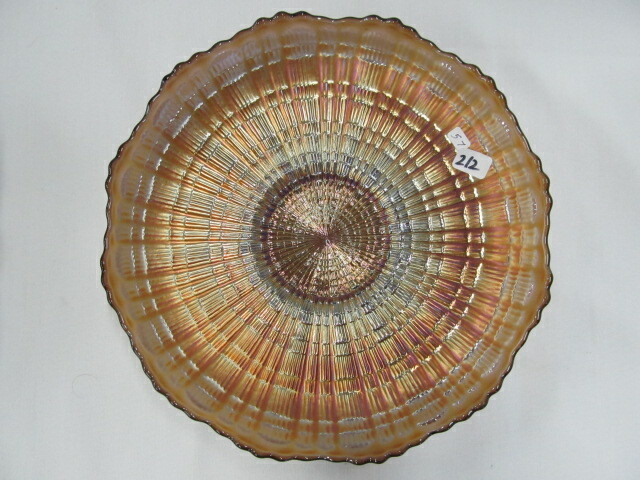 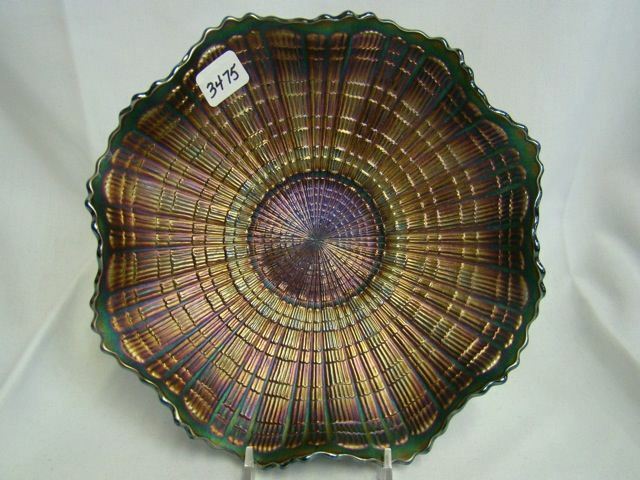 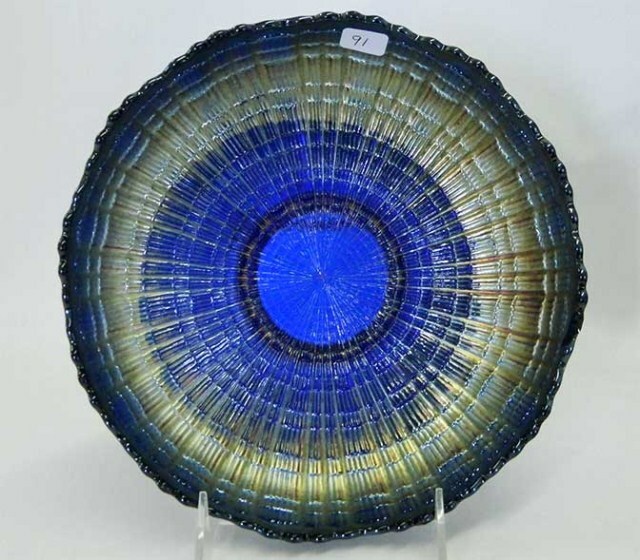 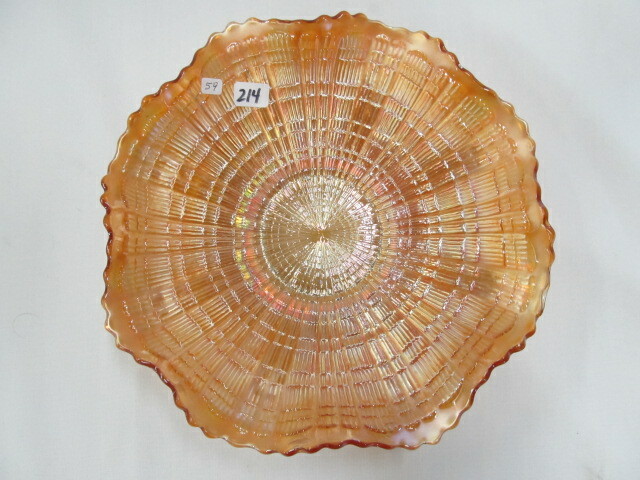 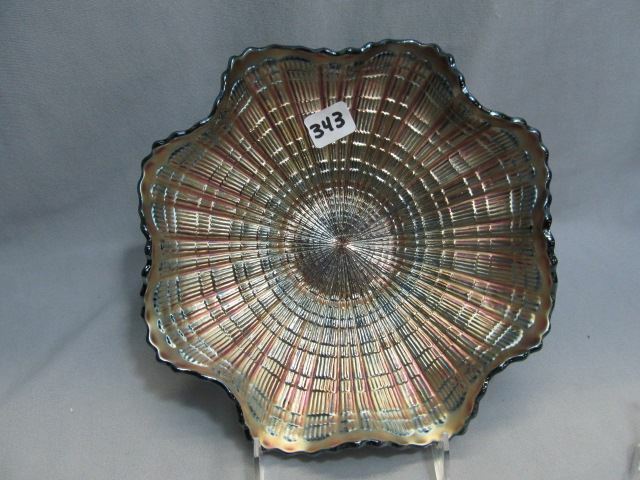 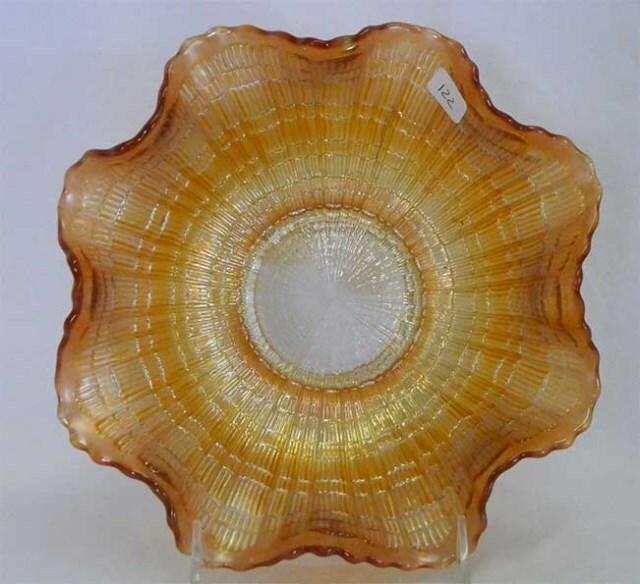 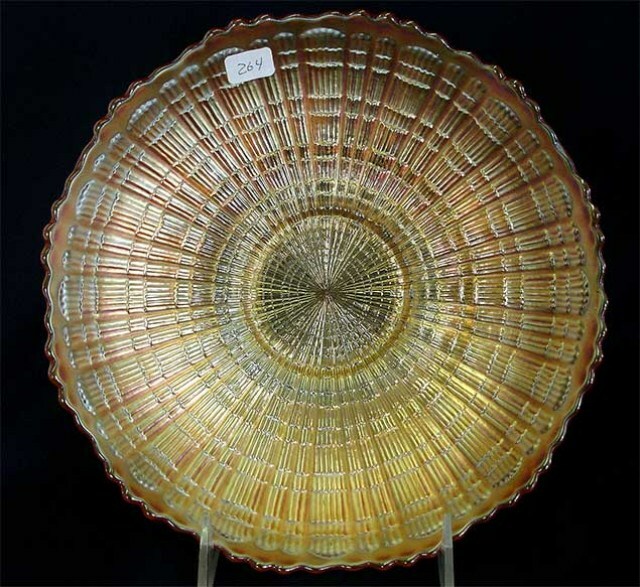 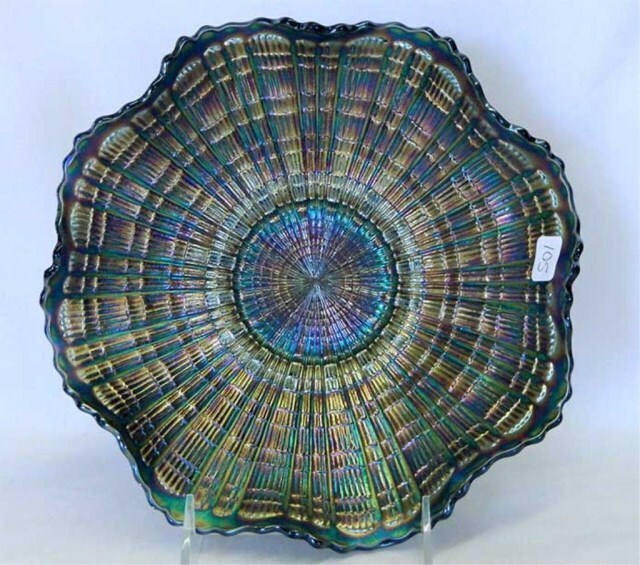 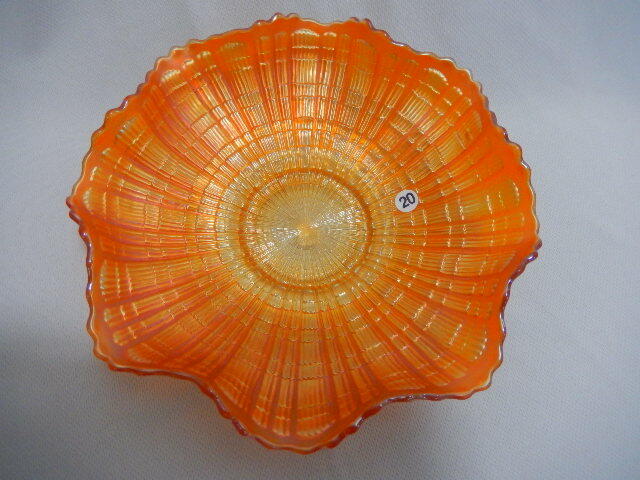 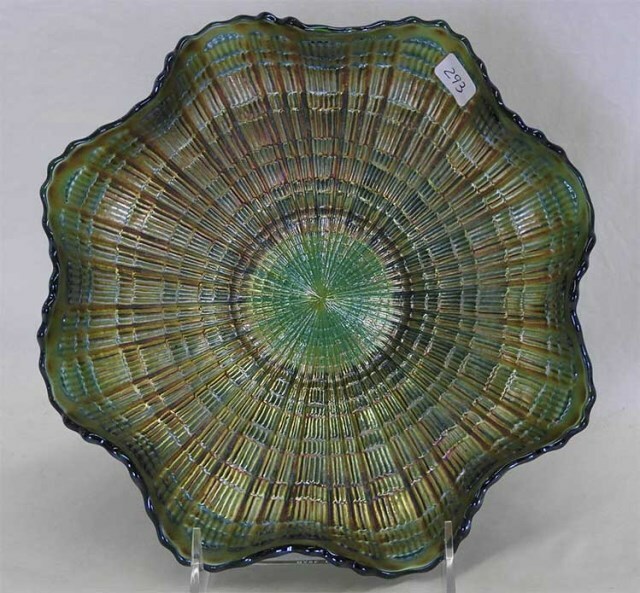 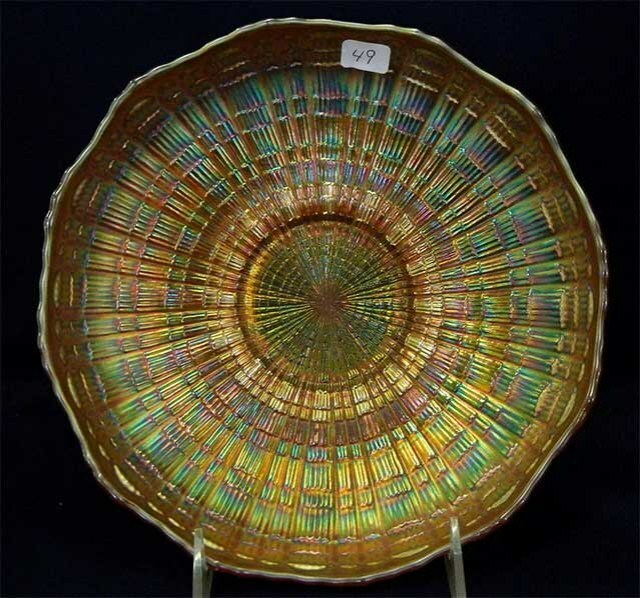 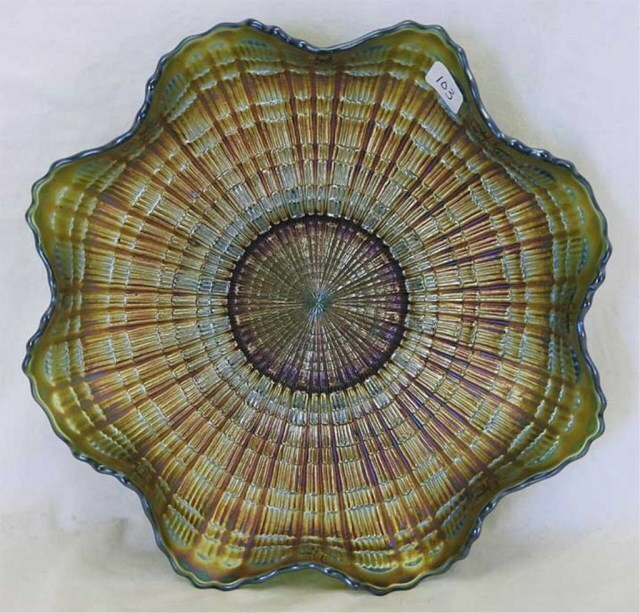 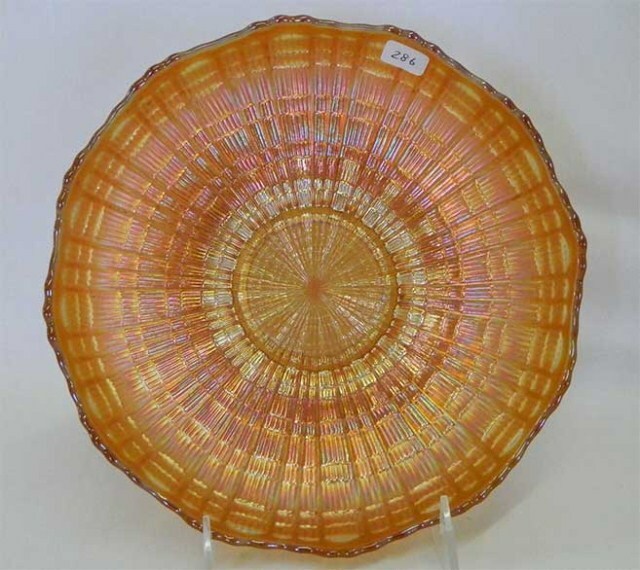 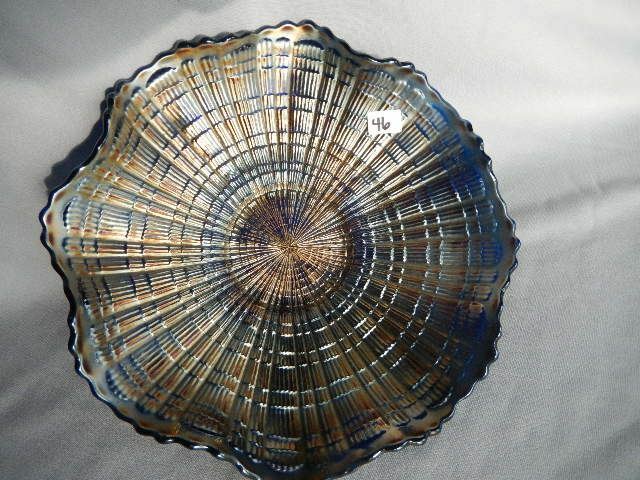 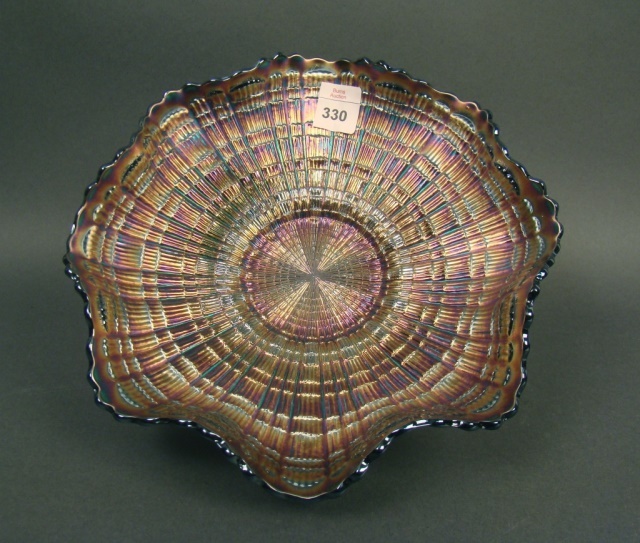 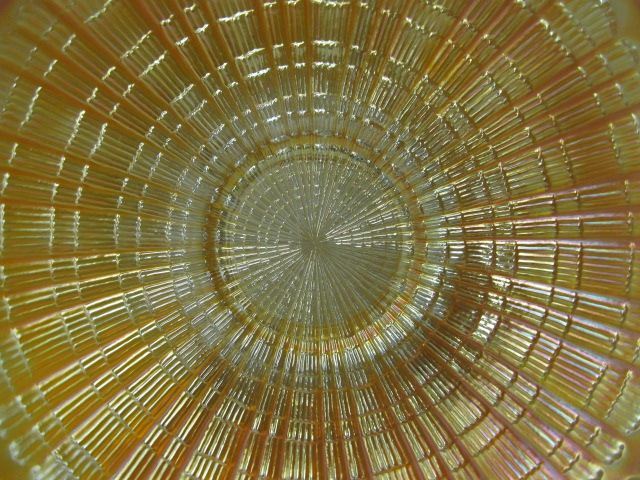 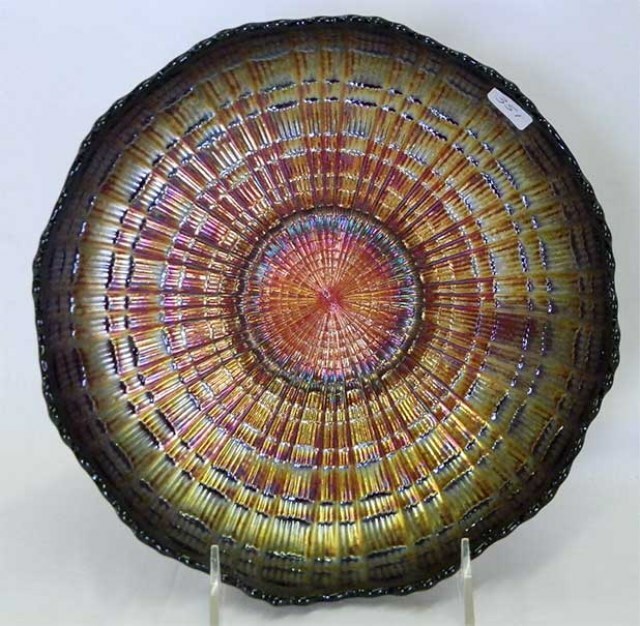 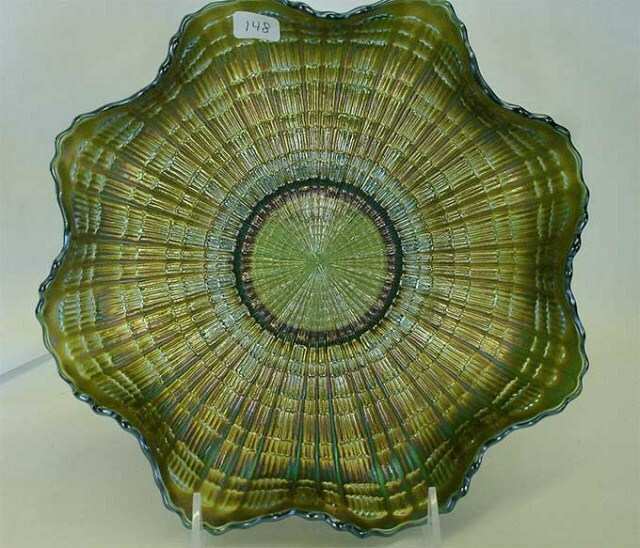 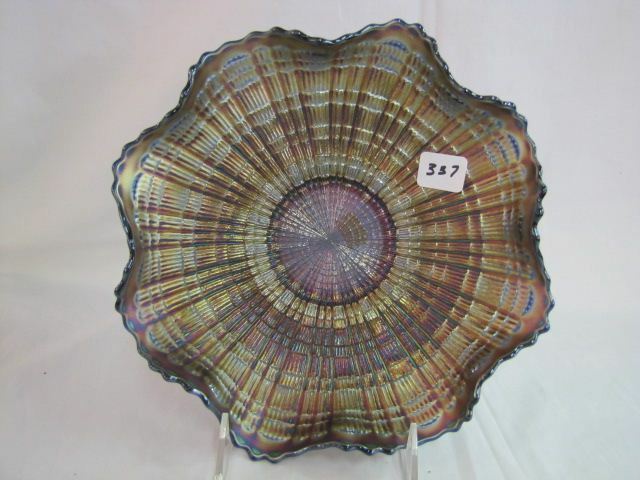 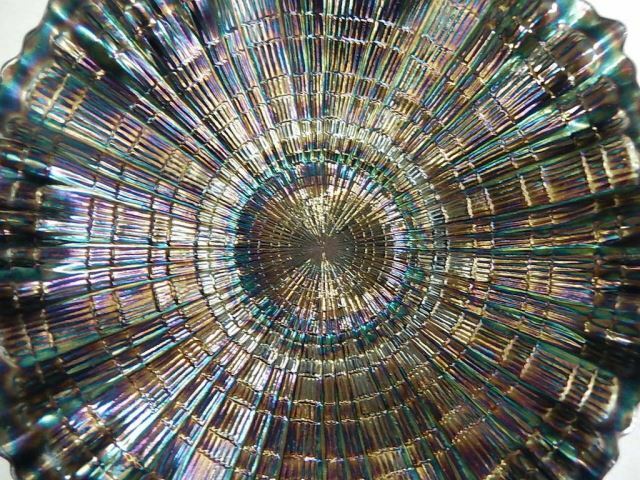 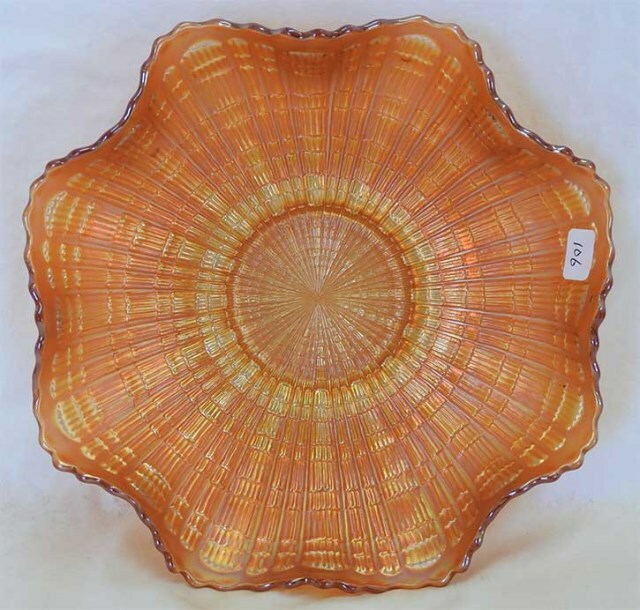 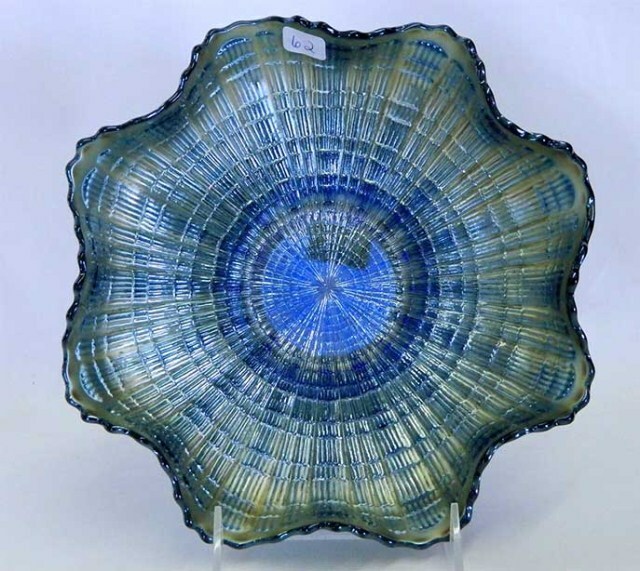 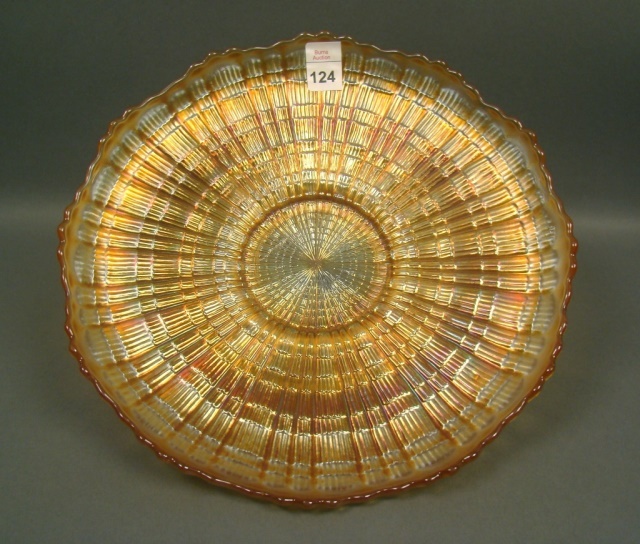 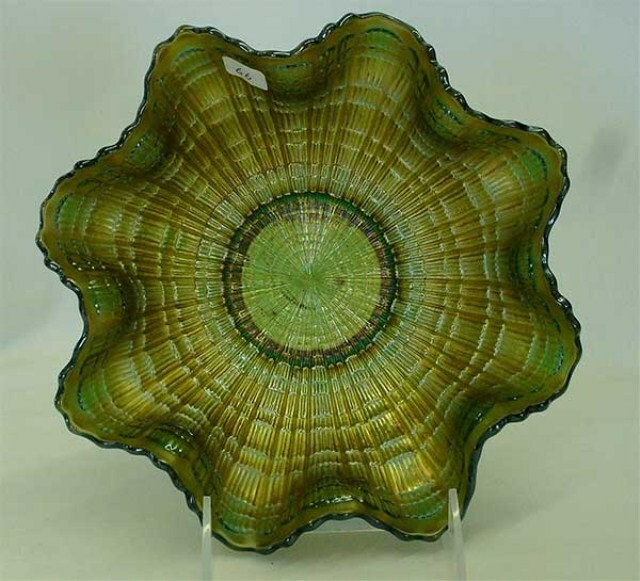 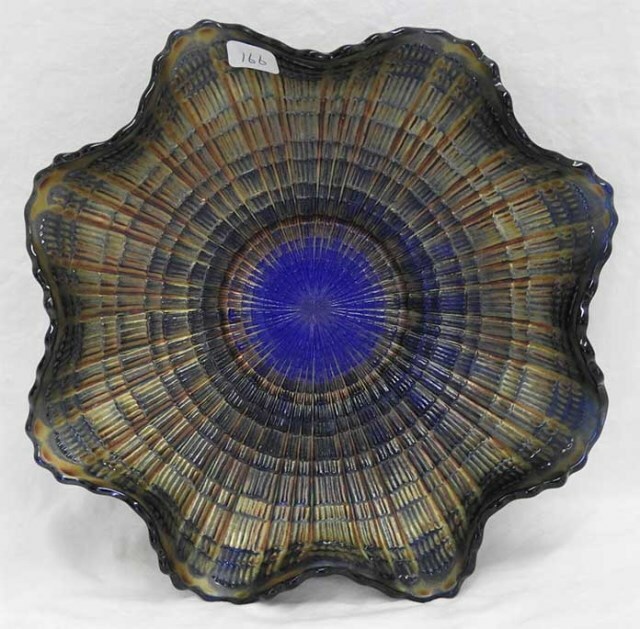 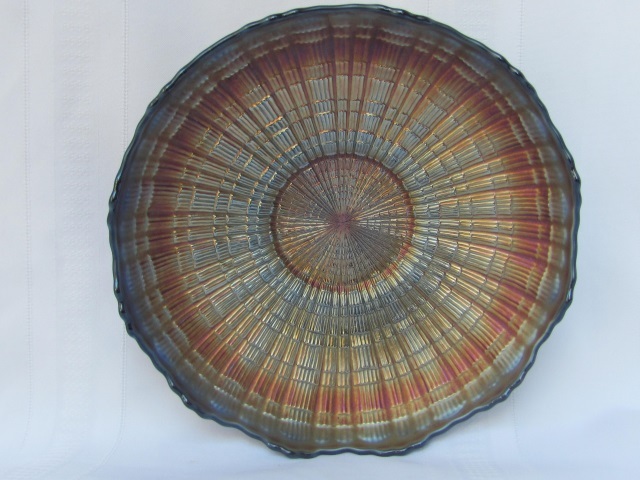 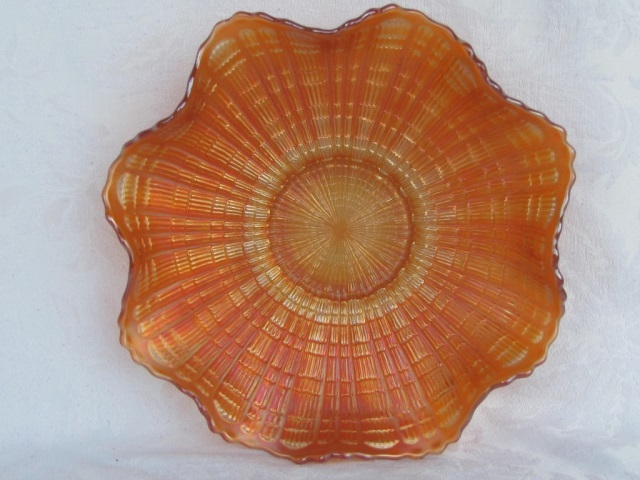 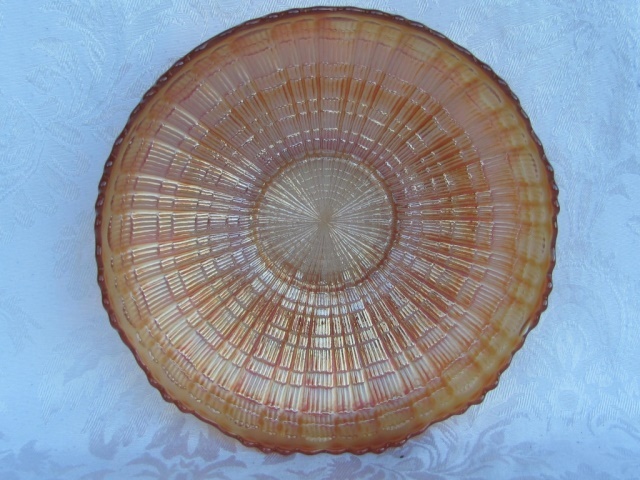 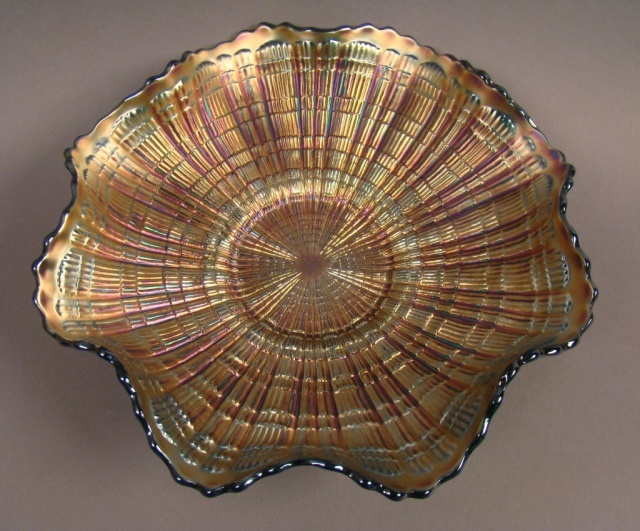 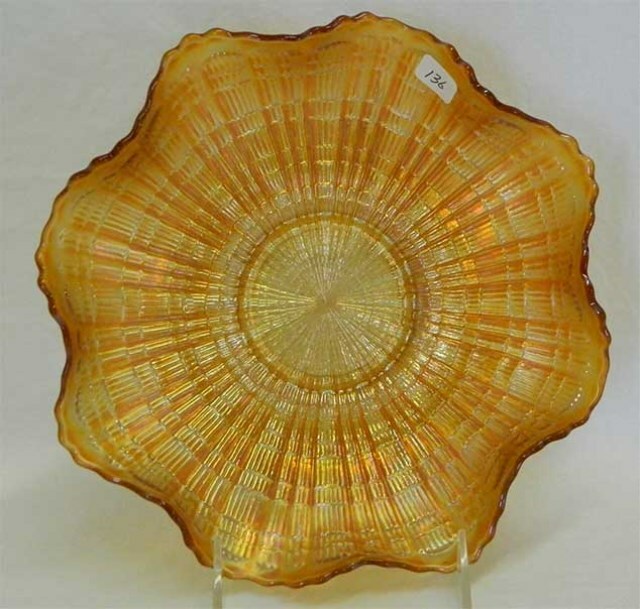 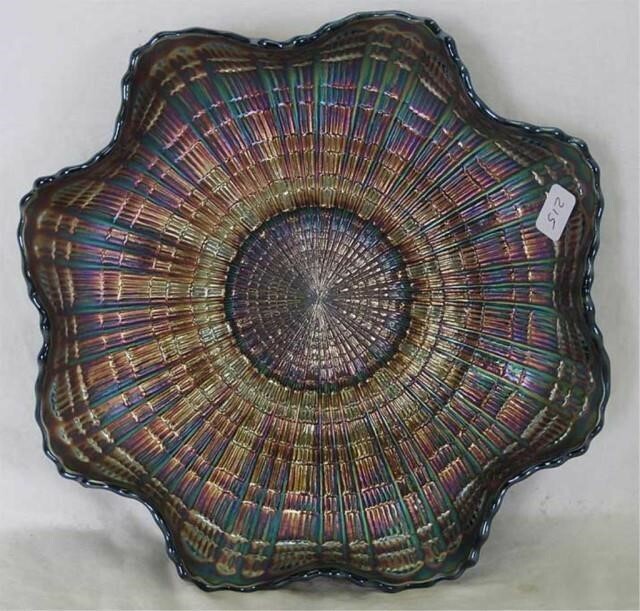 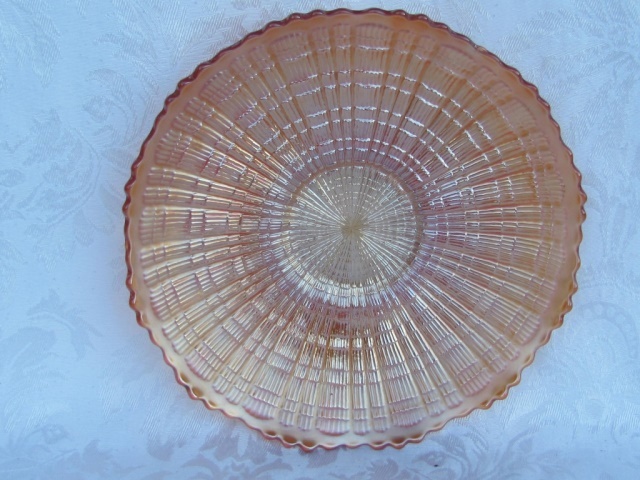 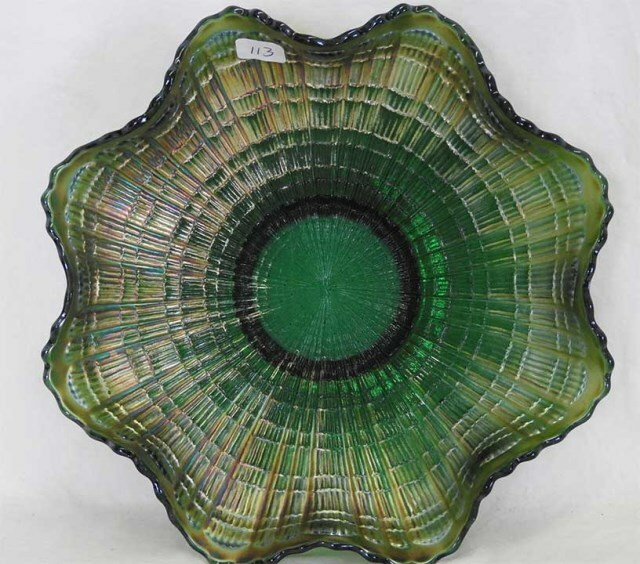 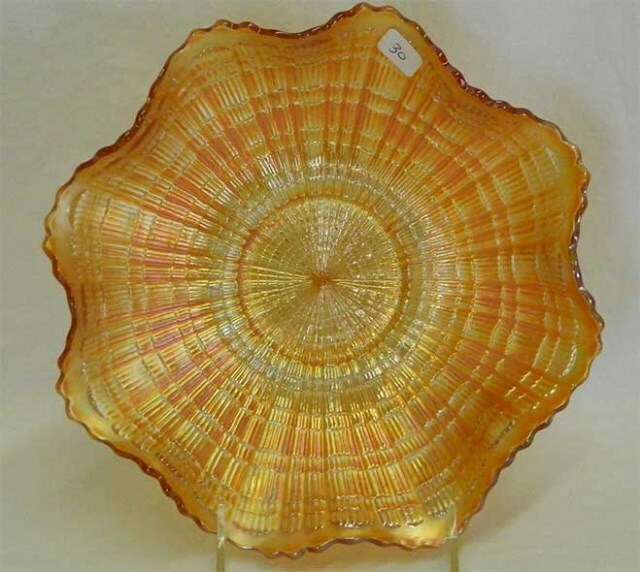 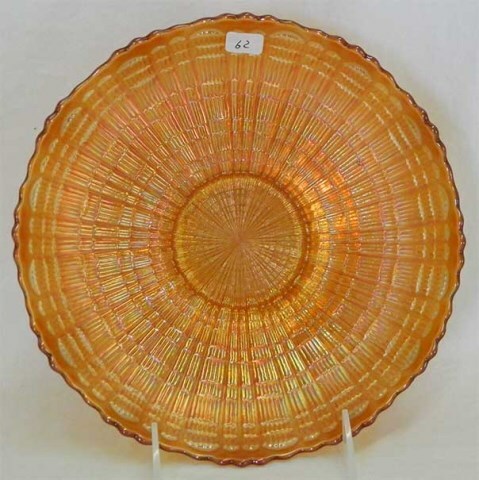 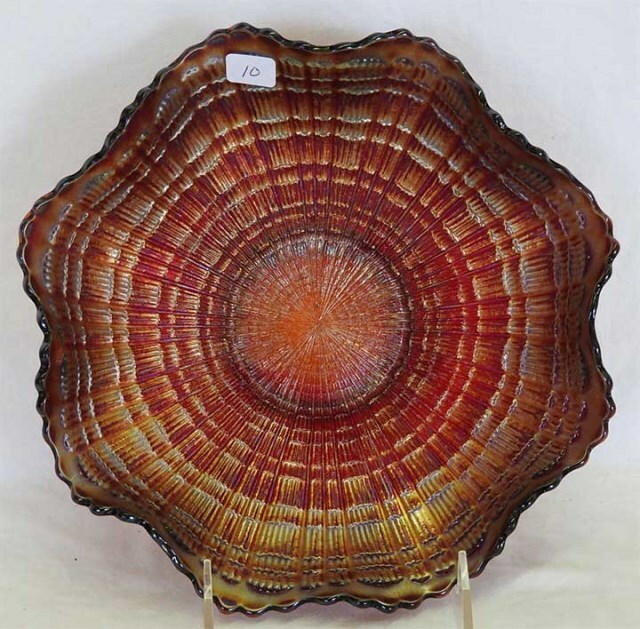 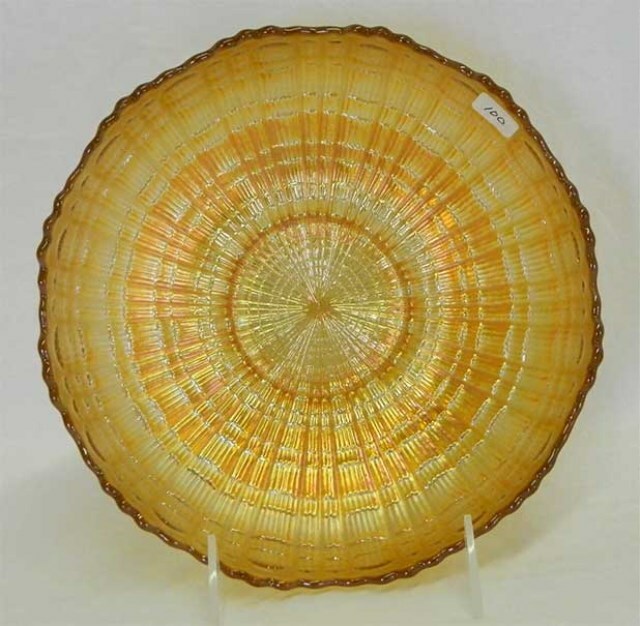 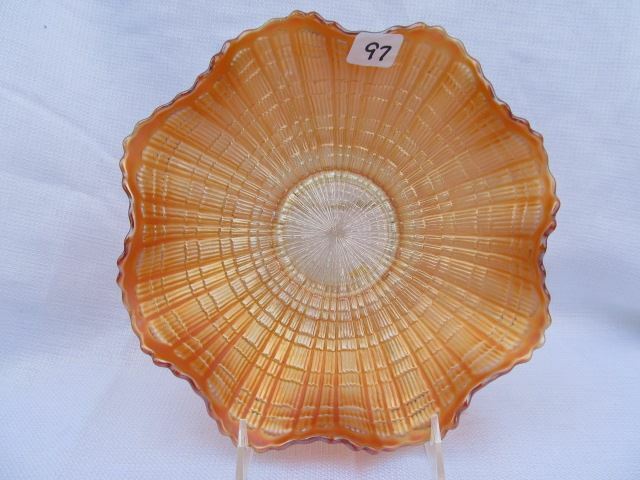 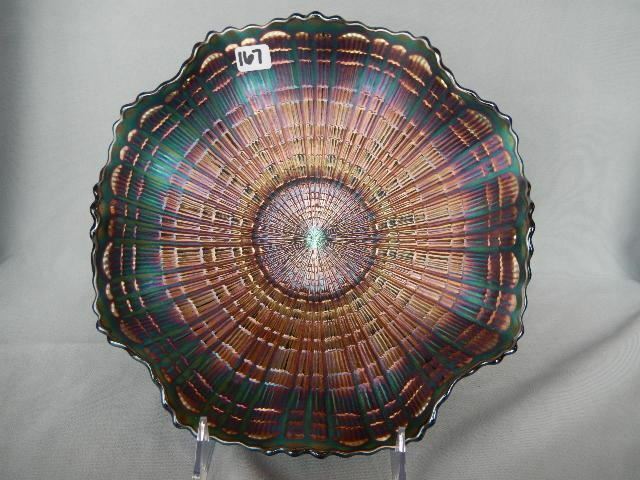 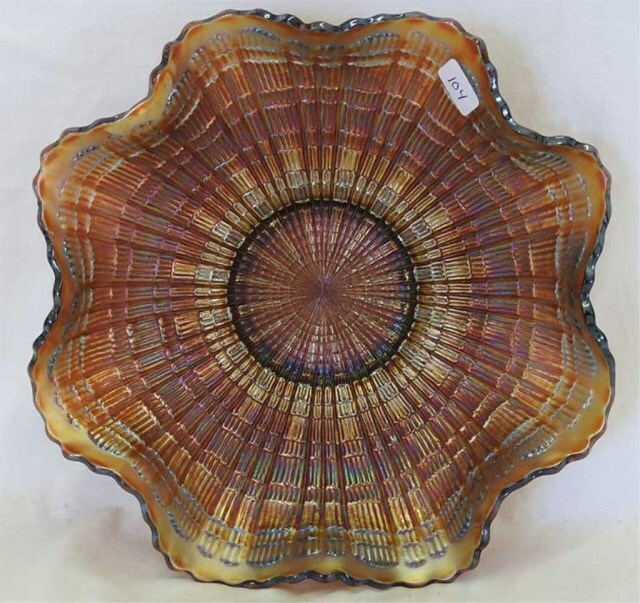 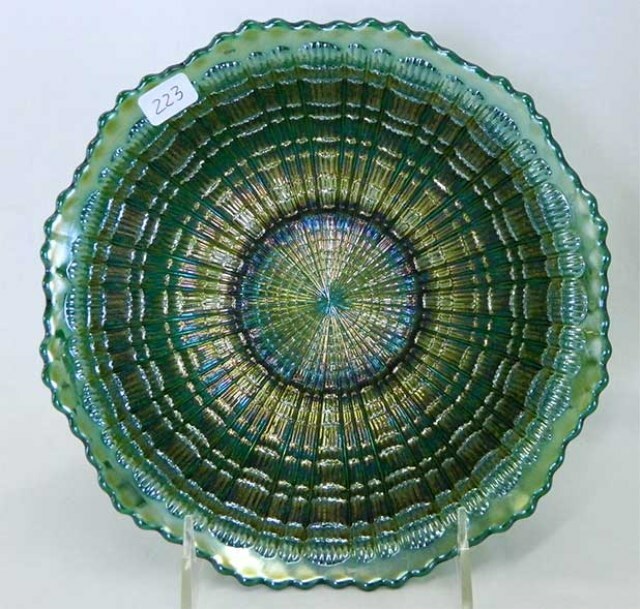 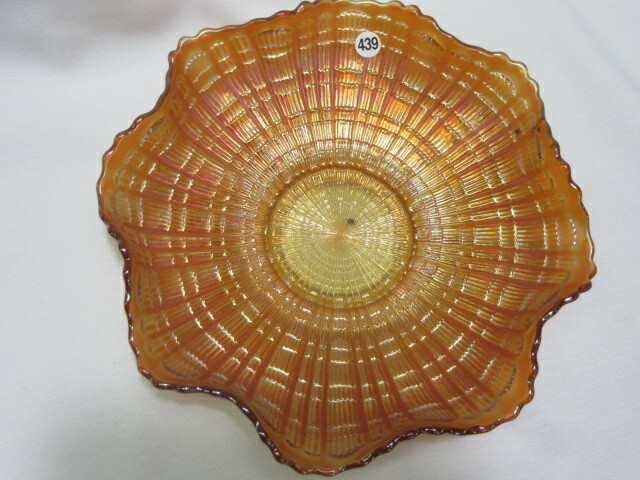 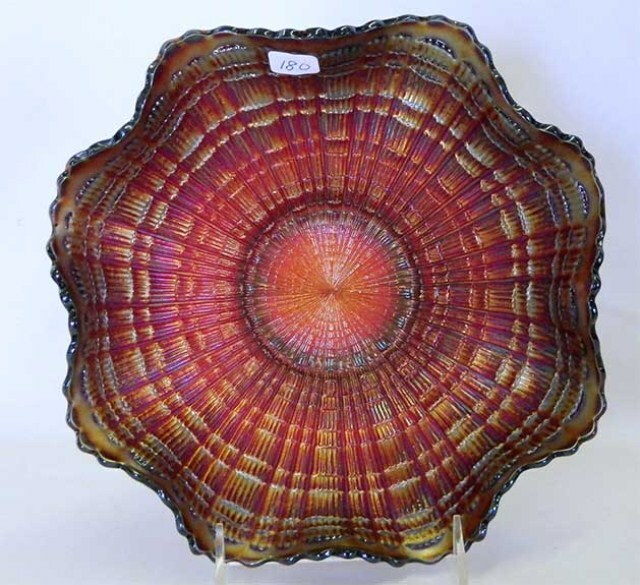 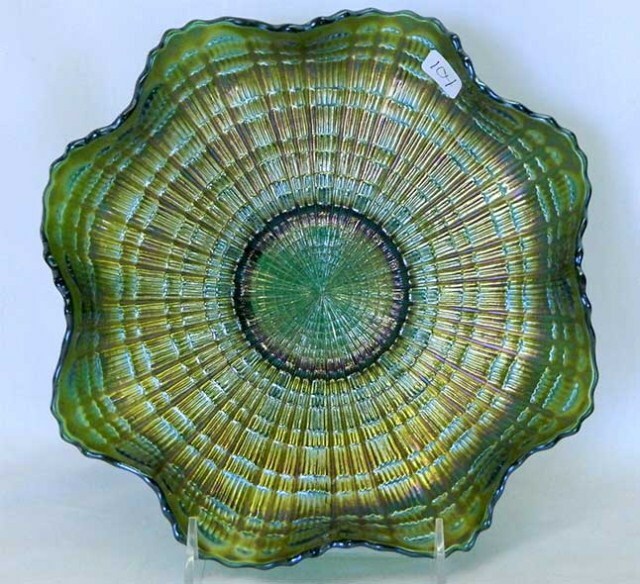 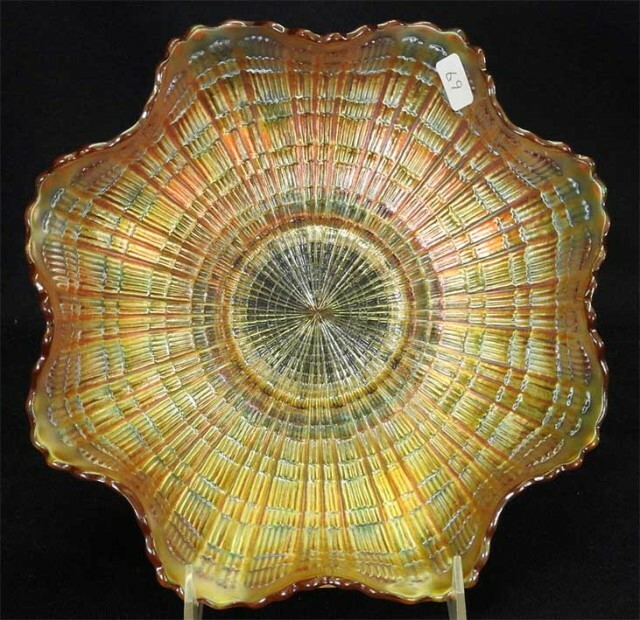 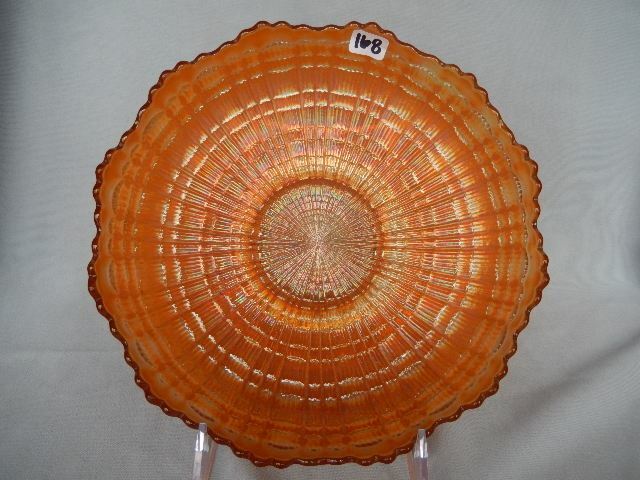 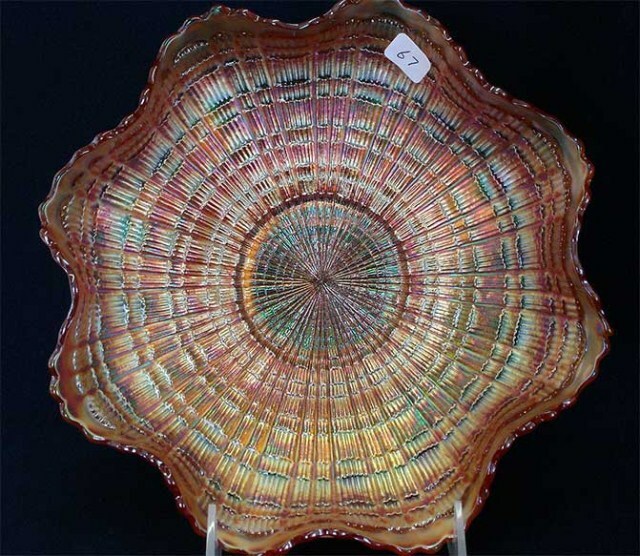 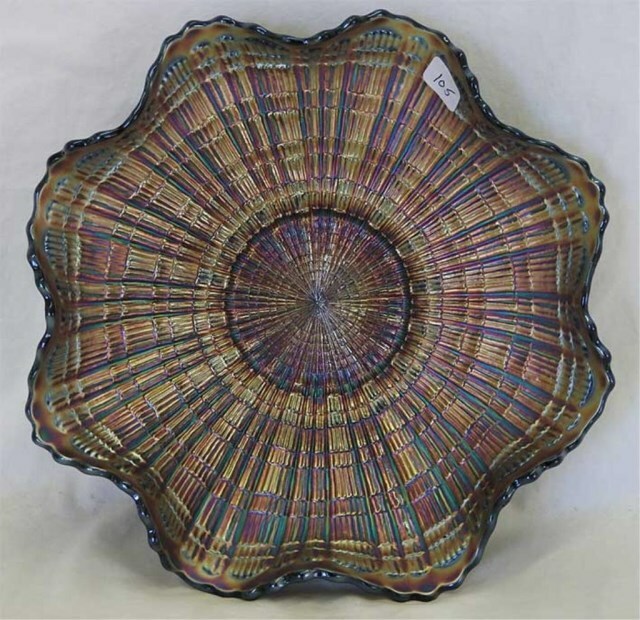 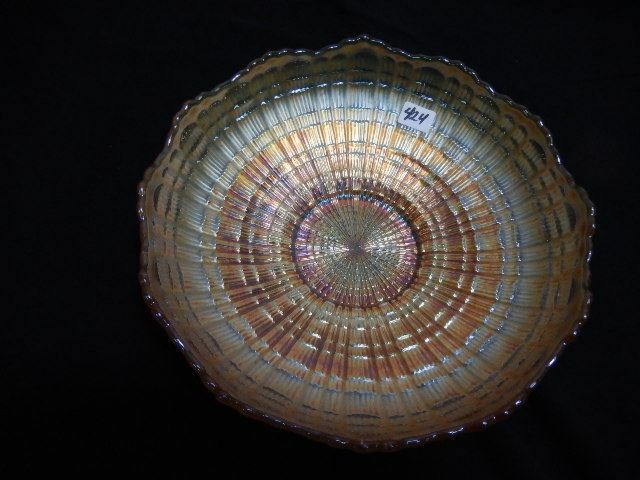 Many pieces in this pattern have been found in the northwestern US, leading to speculation that they may have been a special order for a glass distributor selling in that area. 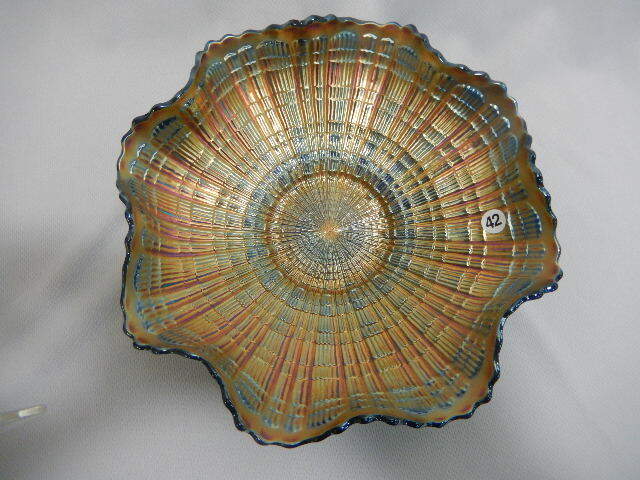 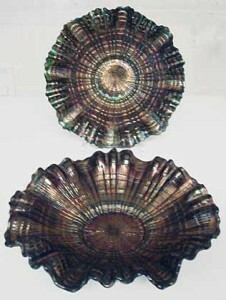 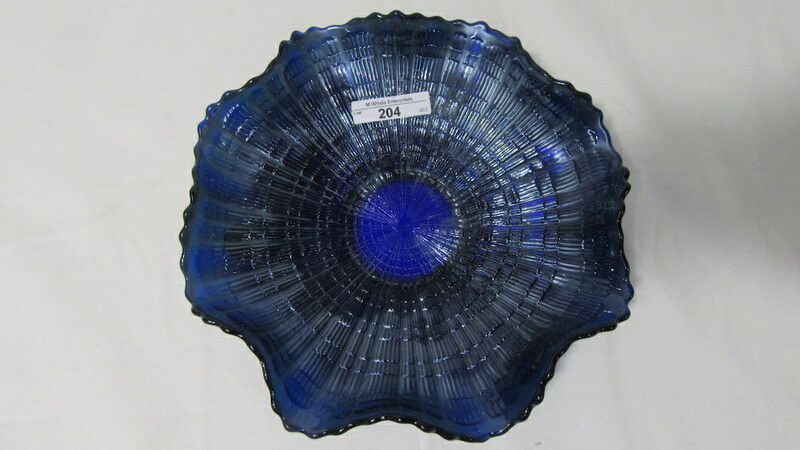 Above left is an ice cream shape bowl in blue and above left is the only two known three-in-one edge bowls in blue.